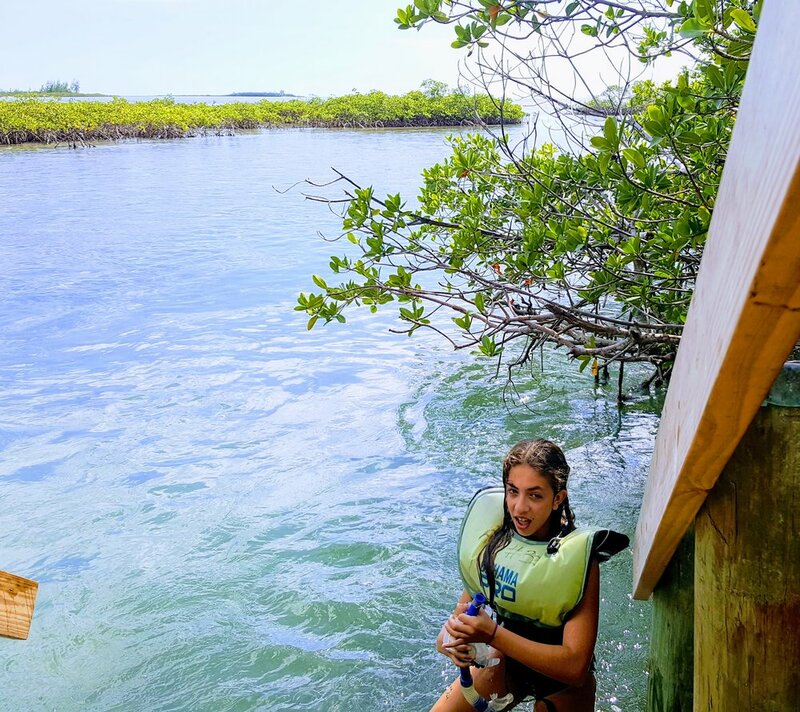 Danna Baretto Morales, an eleventh grade student at Tambearly, placed first in the ninth to twelfth grade division of the Dolphin Encounters Marine Education Poster Contest. Excellent work, Danna! 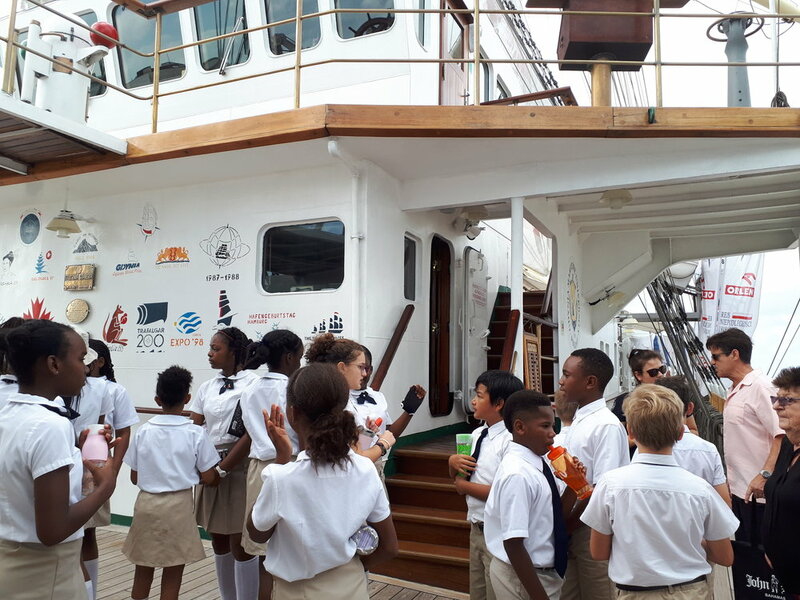 Grade 5 and 6 went on an educational field trip to the "Dar Młodzieży," one of four tall ships of its kind actively sailing around the world today. The ship belongs to the Gdynia Maritime University and serves as a training ship for anyone who dreams of a career on the high seas. 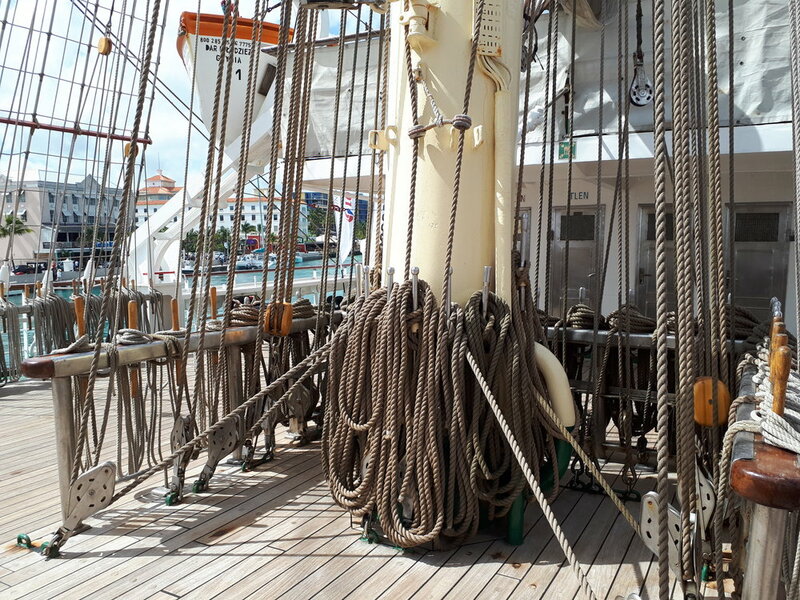 Professors and students from the Gdynia Maritime University shared interesting information with our students while giving us a tour on the three-masted sail training ship. 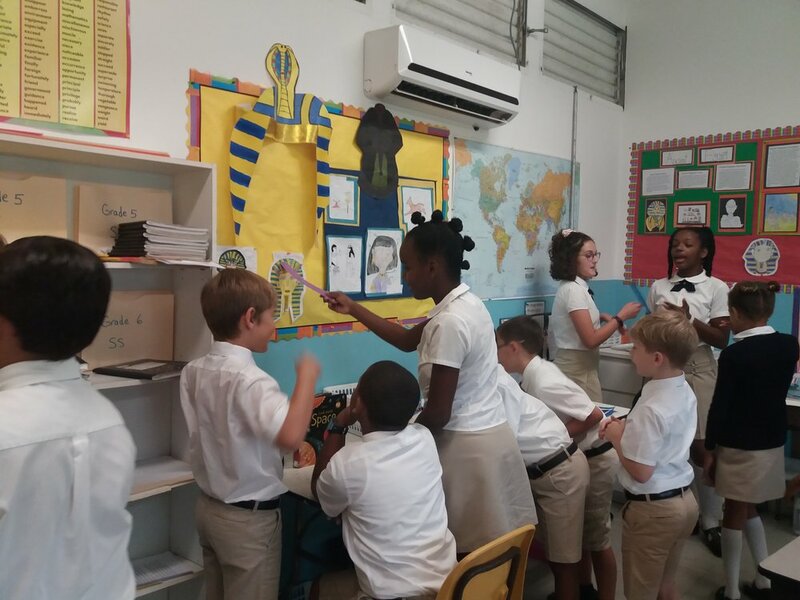 Grade 3 visited Grade 6 to find out about Ancient Egypt. 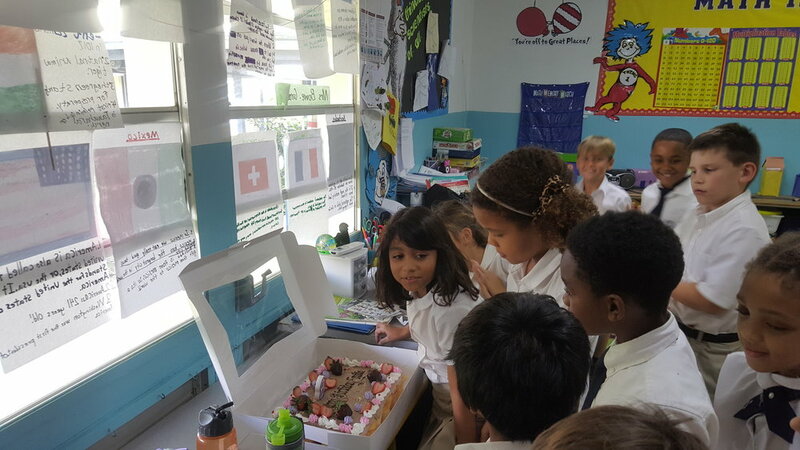 Grade 6 explained the information in their presentations and gave Grade 3 some tips on how to present their work. 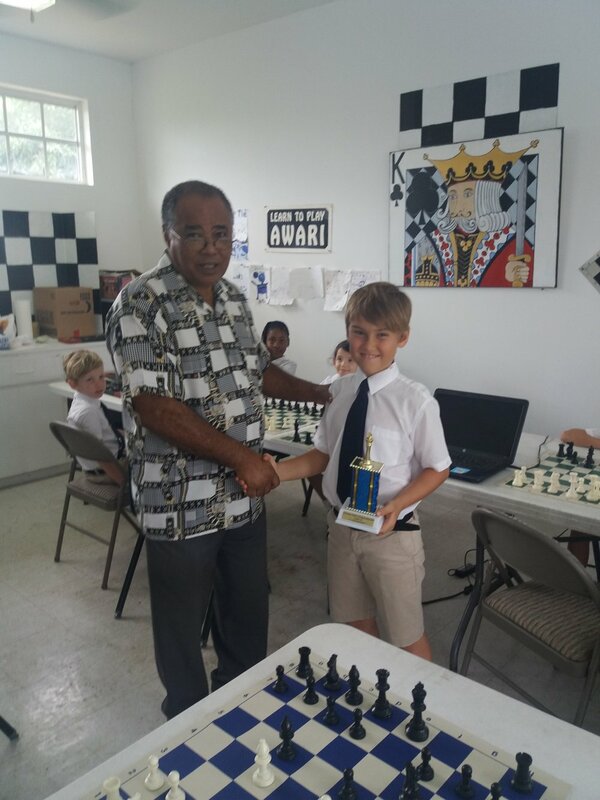 Max took part Bahamas Junior Chess Championship 2019 and won the under 10 division! We're proud of you Max! 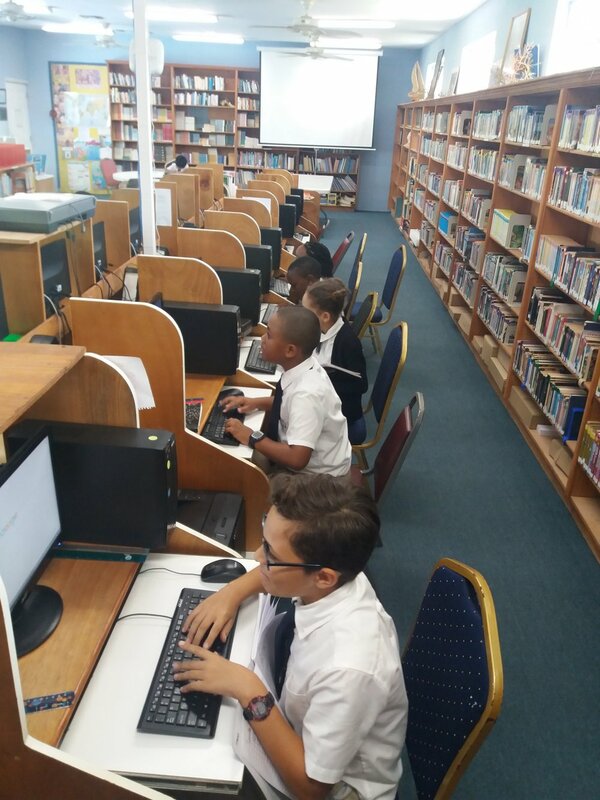 Grade 3 have been using the computers in the library to research The Bahamas for their Social Studies project. Grade 3 took part in the great paper plane experiment. They each made three different paper planes and then tested the flight of the planes. Grade 3 have been making thermometers in the science lab. 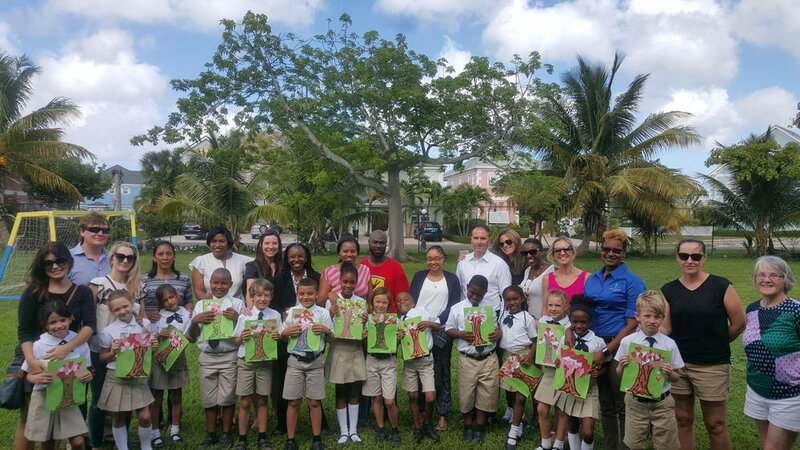 Grade 2 hosted their poetry afternoon publishing party under the trees. The parents were treated to masterful rhymes, beautiful themes and good laughs. We all had a lovely afternoon. Grade 8 learned about the ancient Roman pastoral festival of Lupercalia, which is thought to be one of the origins of Valentine's Day. The students then made Valentines with popular Latin love sayings. amor est vitae essentia! 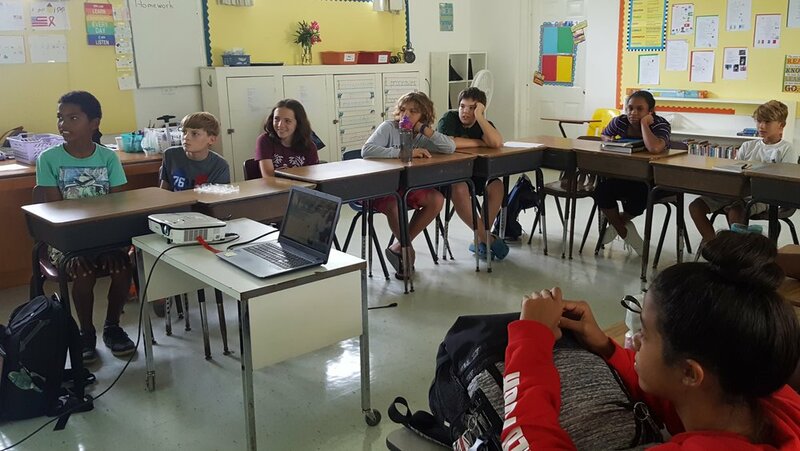 Grades 5 and 6 took part in the "Shark Aware & Ocean Conservation Seminar" hosted by the the international organization "All For Blue." 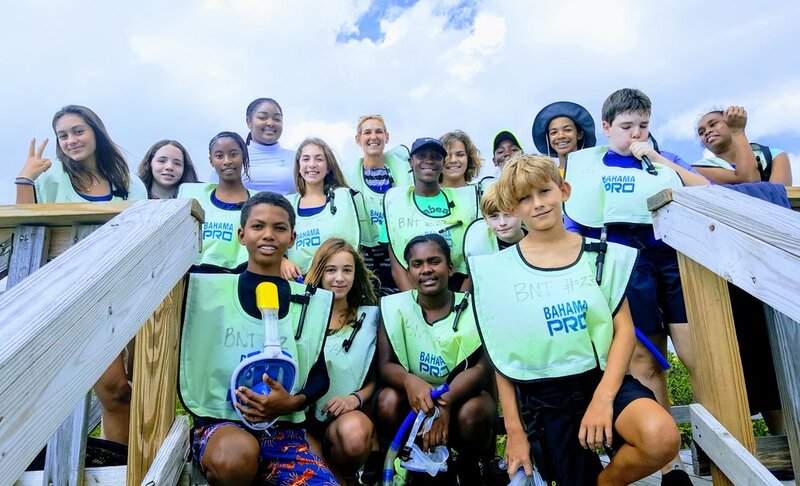 We learned interesting information about the crucial role of sharks in the ecosystem and how beach and underwater cleanups can reduce litter and protect our oceans. All students received a diploma and reusable straw after the seminar. 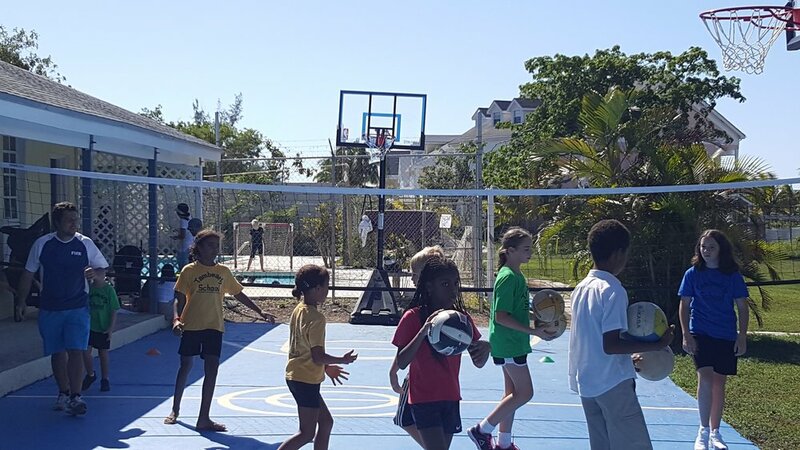 Grade 2 embarked on a greening exercise on Saturday 19th, 2019. 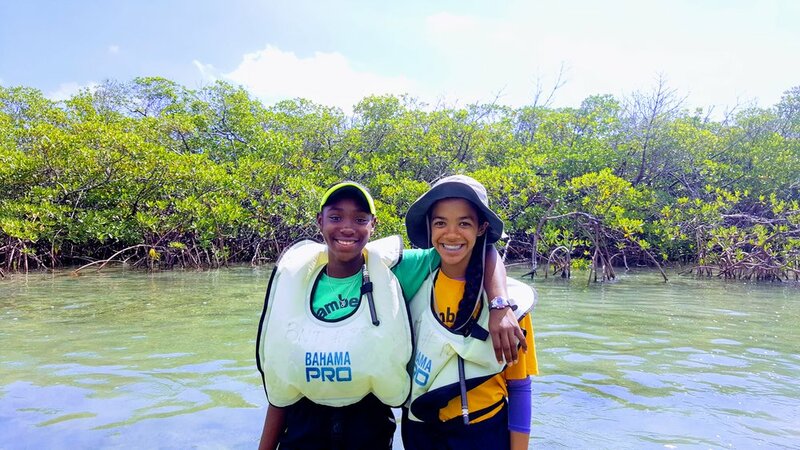 The students, teacher and parents went out to Goodman's Bay beach to do a cleanup of the beach. This was a wonderful lesson on conservation for the students. We were complimented by many of the beach attendees that were there. Grade One launches into Space! Grade One have started a brand new science topic all about Space. Dr Sands helped launch our new topic by bringing in his special telescope and eye equipment that safely let the children observe the sun. 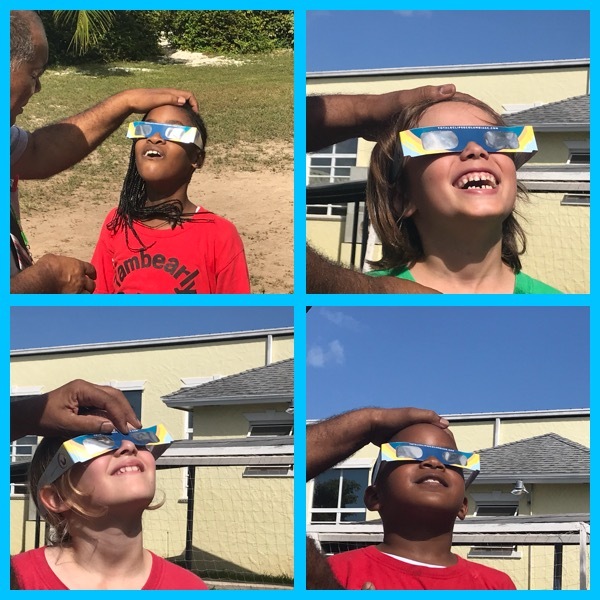 A picture speaks a thousand words and these pictures sure summarise the excitement the children felt when they looked directly at the sun for the first time. Grade 3 have been learning about classifying animals. This week we looked at vertebrates and invertebrates and the children made spines. They used their comparing skills to compare the spine they made with a picture of a human spine. Grade 2 enjoying a Friday yoga session! Grade 2 - We are Paleontologists! 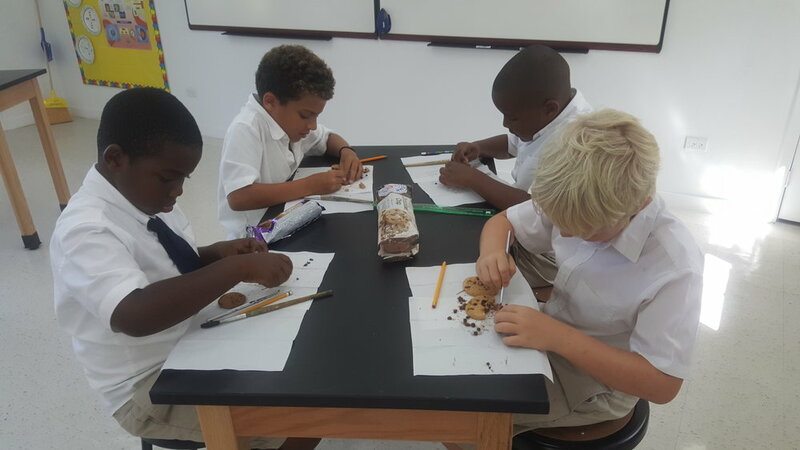 Grade 2 experienced being paleontologists, while enjoying the environment in the new science lab. So what did they do with the fossils they found? You will have to ask them when you see them. 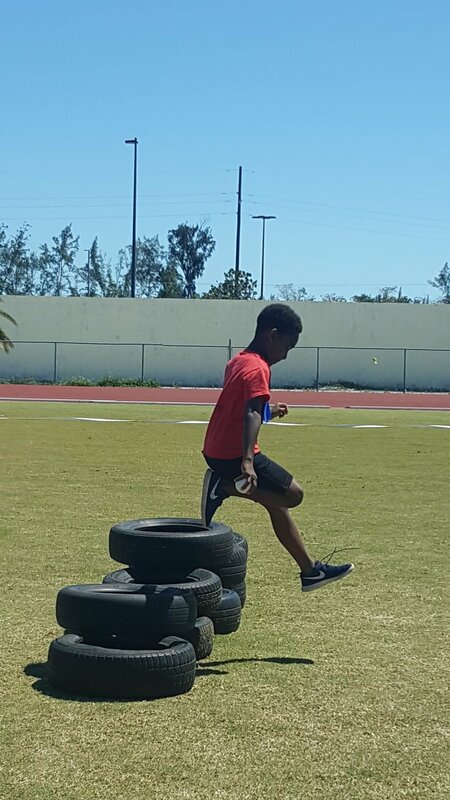 Junkanoo fun at Mind Sports! This week in Grade One has been Baarking mad!! That’s right this week Grade One have been learning all about dogs! Did you know dogs only have sweet glands in their paws? Grade One have learnt some very interesting facts all about dogs. Our week was kick started when George came to visit our class! He graciously let everyone pat his head and scratch his belly! Miss Shelly from the charity Baark! and her dog Mambo, ending our week with a presentation about how to be safe around dogs. The children learnt some important rules about dog safely and practised these rules with Mambo! Grade 1 students of Miss Reid and Mrs. Evans were set a challenge at the beginning of the new school year. They were asked to make a poster/artwork that represents their country and discuss about it in class with their teacher and friends. The students were so excited and proud to present their work with lots of interesting questions being asked. The students did an amazing job with lots of photos, drawings, captions and flags of their nationality. 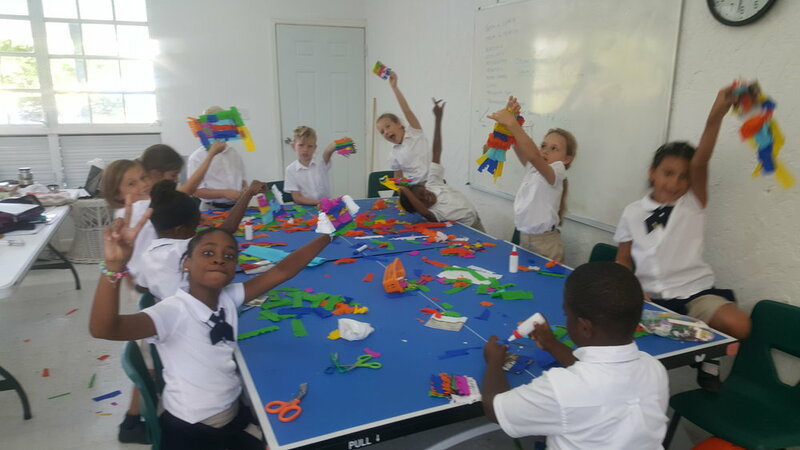 Well done Grade 1! Today day in Grade 3 the children were investigating birds beaks and how they are adapted to their food. The children experimented with chopsticks and tweezers to see which shape was best picking up different foods. Last week in class, 7th grade students worked on fine-tuning their microscope skills. They did an AMAZING job and made many discoveries! 8th grade students used the scientific inquiry process as they tested how much mass their bridge can hold and why. Welcome to Grade One with Miss Reid, Mrs Evans, Miss Higgs and Mr Cat! Grade One travels the world with our passport afternoons! Grade One has launched our world travels for our social studies unit ‘all about me’ by visiting two different countries with two fabulous parents. Grade One Evans visited England with Mrs Worboys and Grade One Reid visited Germany with Ms Ermlich. Both classes had such a fabulous learning experience; trying different food, learning about local animals, local authors, playing local games, learning new languages and the list could go on! Next on our passport adventure Grade One Reid will be visiting Mexico with Mrs Pade and Grade One Evans will be visiting the Bahamas! 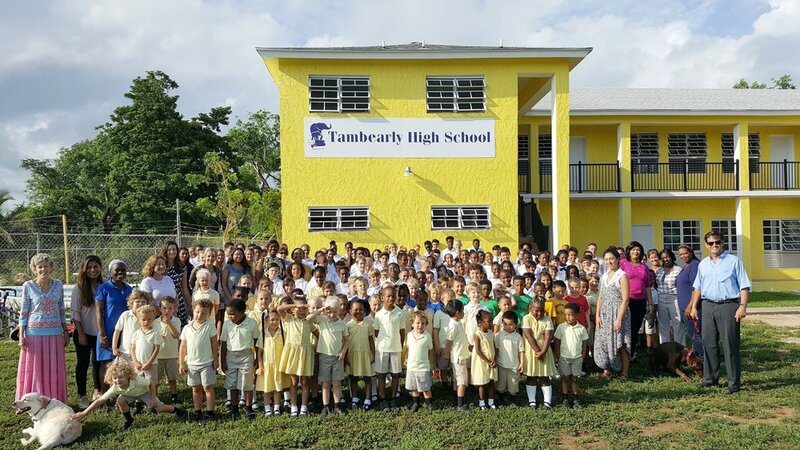 Tambearly is all a buzz with the newest addition- the high school building ready to serve grades nine through twelve for the 2018-2019 school year. The opening of the new high school brings to our students a state of the art science lab, a magnificent music room, and spacious classrooms. 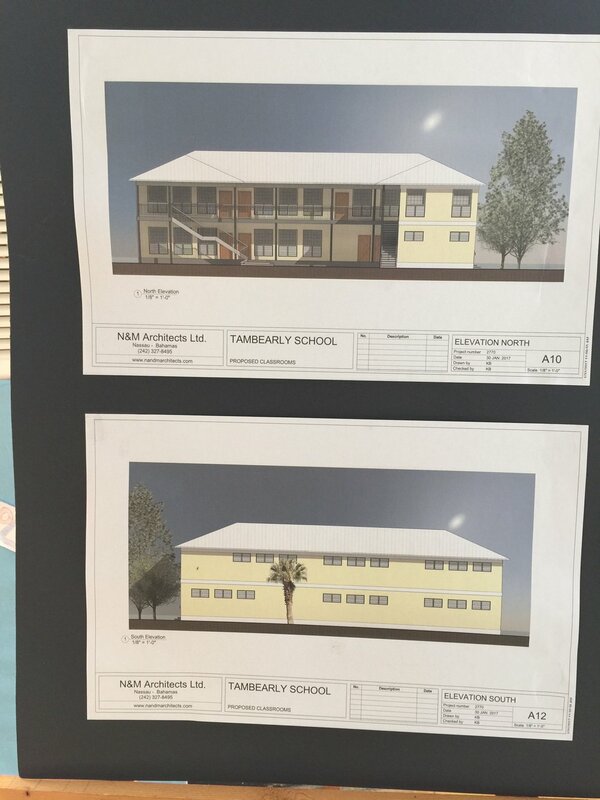 Mrs. Langford opened the doors of Tambearly School for the first time in early September, 1985 on Queen Street and has proudly educated thousands of Bahamians from Kindergarten to Secondary school. 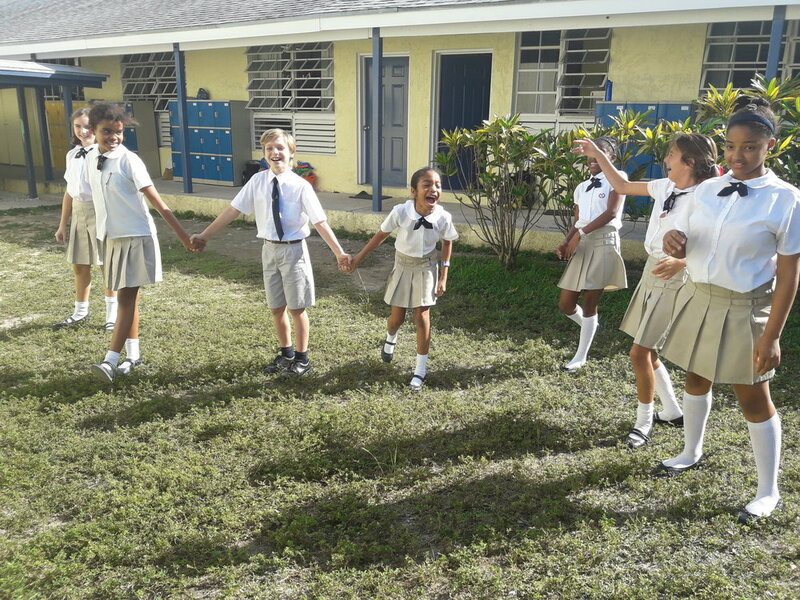 The School has been at its current location in Sandyport for the past 27 years and continues to expand. As our campus facilities grow, Tambearly’s curriculum continues to develop, offering our students the finest educational opportunities available. Officially registered as an Advanced Placement School of Education through College Board, students meeting the expectations of the curriculum requirements will be able to earn college credit while completing the Tambearly high school program. Advanced placement credits are recognized by universities in more than sixty-one countries world-wide. Our first graduating students in 2020 now have the opportunity to begin their college journey with their first semester of college complete as they earn their Advanced Placement International Diploma. We took the first step in introducing our technology program this year with integration of technology and traditional classroom instruction. Students began developing essential skills in the use and functionality of technological devices while continuing to strengthen content knowledge in each subject area. The use of Chromebooks and the Google for Education program did not replace current Tambearly classroom practices and expectations but implemented tools to enhance our learning processes. Tambearly will continue to prepare our students for their future with the opportunity of earning a Comp Tia A+ Certification by the end of their high school journey. 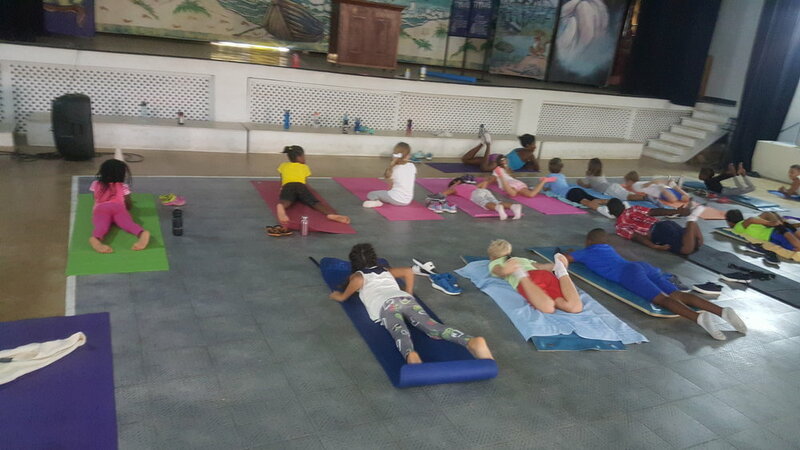 Yoga class was implemented in our lower school schedule this year as an exciting and engaging way to support the mental, physical, social, and emotional health of our pre-k through grade one students. 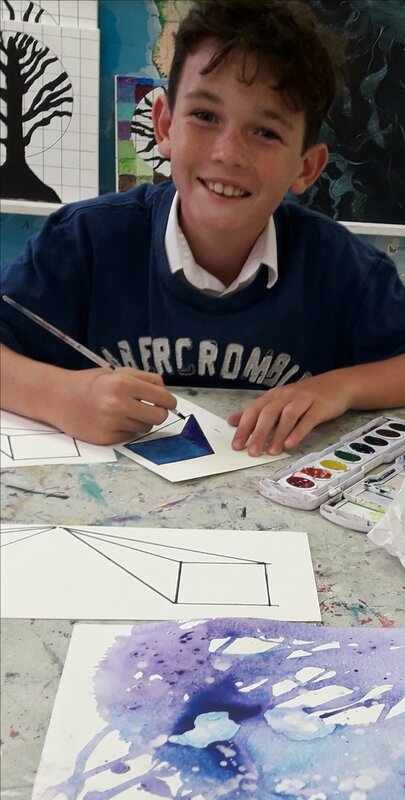 Returning to academic studies refreshed and stress free has led to positive learning outcomes. 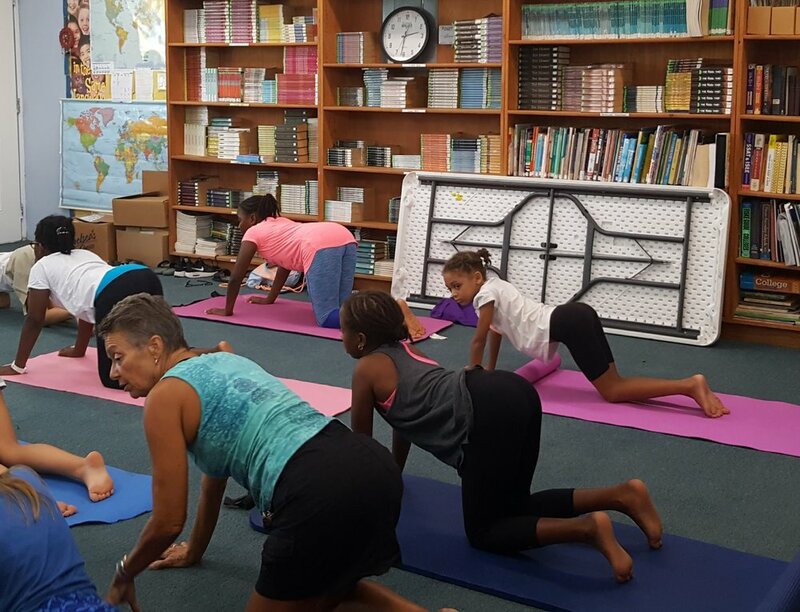 Our yoga class will continue long into our future as a supplement to our physical education program. 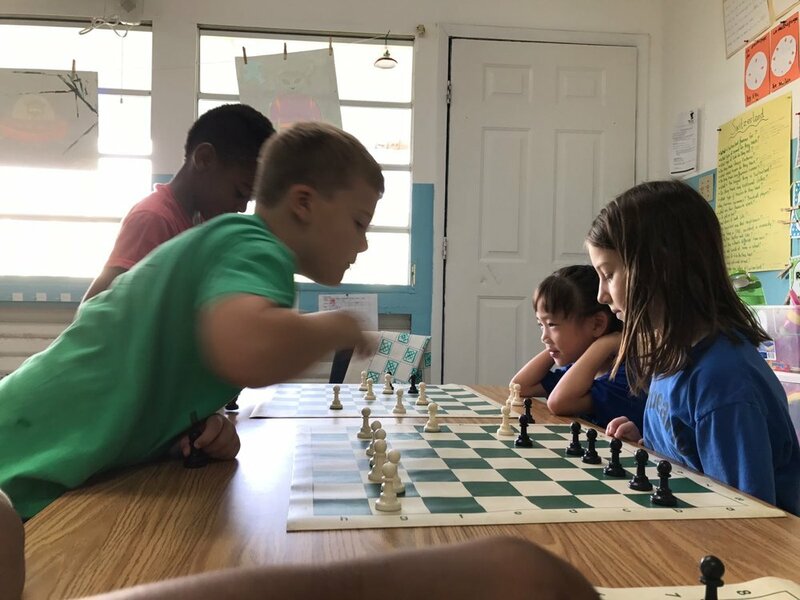 Our chess program, serving all grade levels lower school through upper school, continues to strengthen our students’ skills in planning, problem solving, and recognizing patterns. 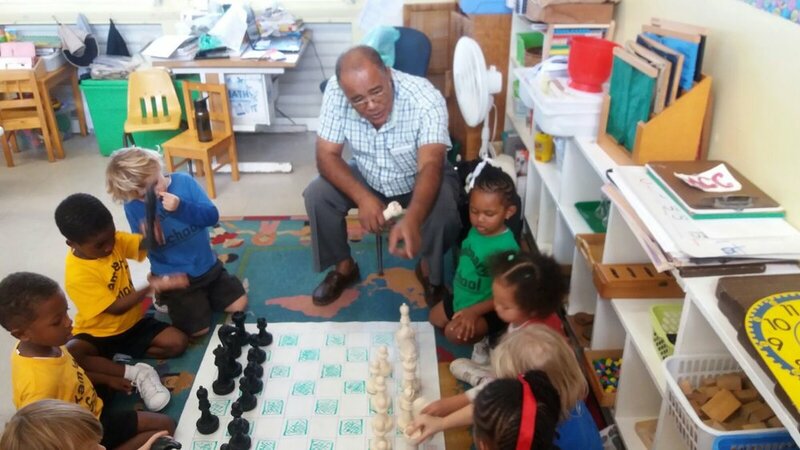 Tambearly is the only school in the Bahamas with a chess program serving students pre-k through high school. 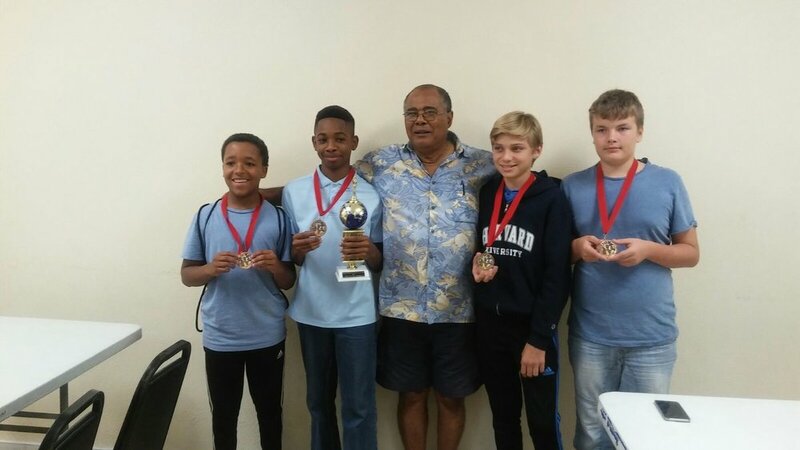 Tambearly has celebrated the success of our young chess masters this year with its first annual national chess tournament with over seventy participants vying for the title of Bahamas National Chess Champion. 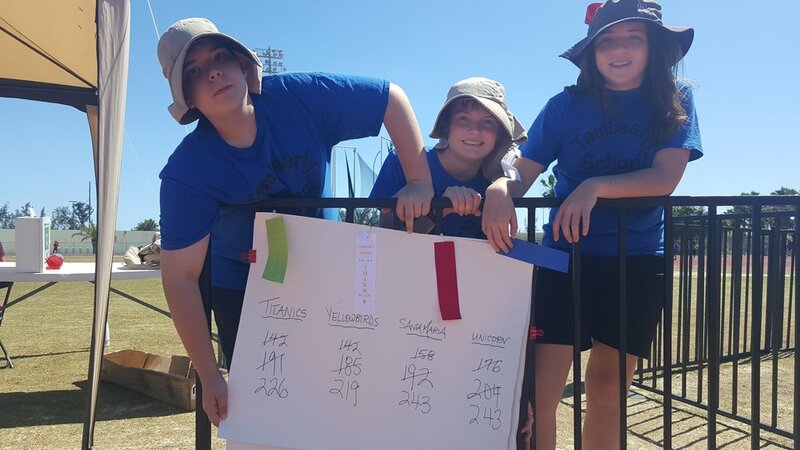 Our own team from fourth grade took first place in their division. 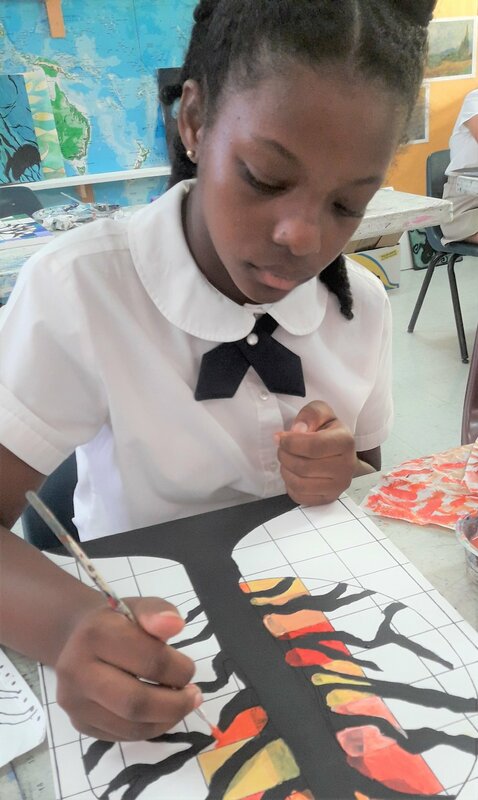 Tambearly’s Art program continues to excel in encouraging our students to use their creative minds to enhance their observational skills and "think outside the box" in terms of problem-solving. 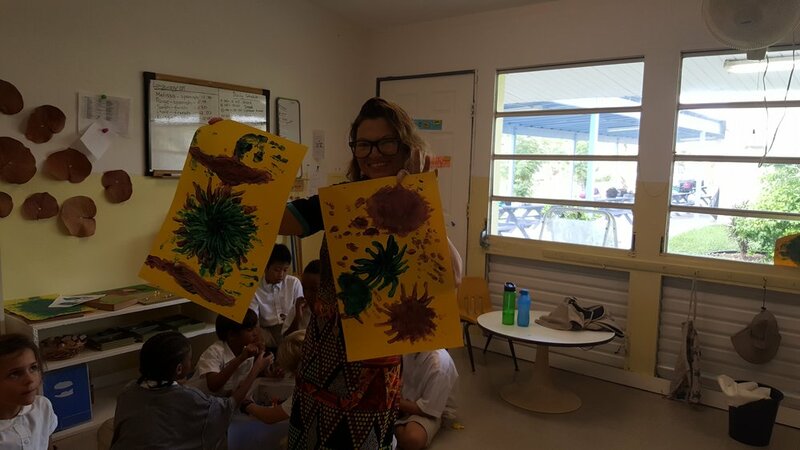 Under the instruction of Mrs. Sharp, it is a busy classroom; designing, drawing, mixing colors, and painting. 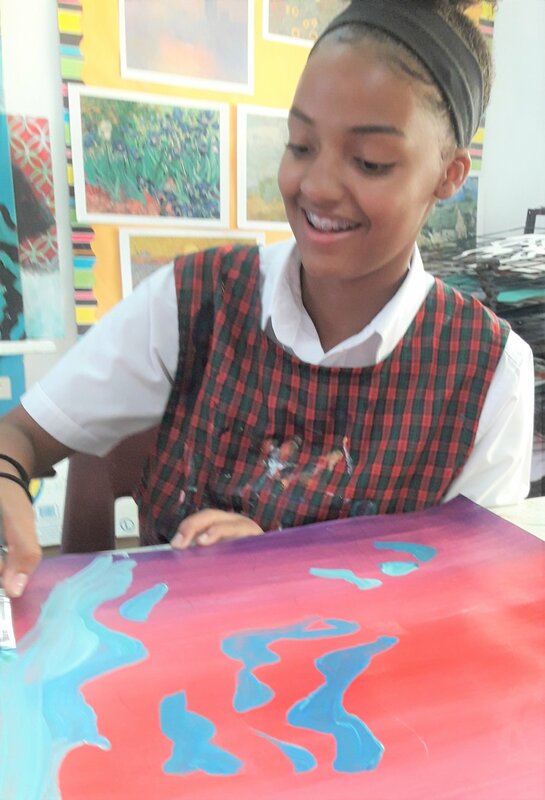 The students show a great level of excitement and commitment to the process of creating their art projects. Preparing for the annual art show each year in May, master artisans begin emerging. Each school year at Tambearly ends with a theater production highlighting the musical talents of our students. Our music program continues to grow, creating a passion for knowing more in our students. Most Tambearly students not only develop strength in vocals but embrace learning multiple instruments. Mr. McKenzie directs the Tambearly Titans Band in providing entertainment at Tambearly school functions. This year Tambearly’s music students revisited “The Land of The Gentle People” by our own Esau McKenzie for our end of year production. The first stage performance was in 1991. This new generation of Tambearly Titans brought new energy and life to the story of our countries beginning. With time comes change. Tambearly has experienced many new developments over the years enhancing our students’ educational experiences. 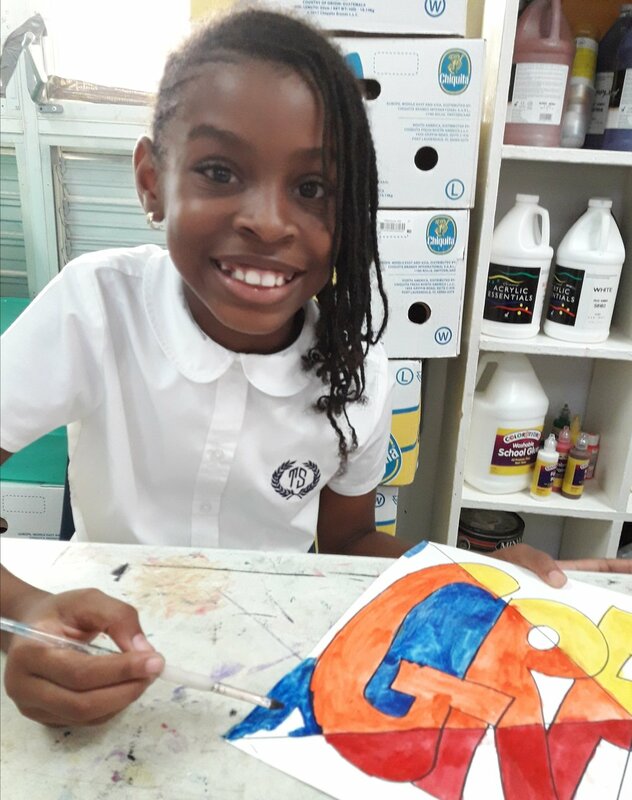 What has remained the same and will continue is Tambearly encouraging the love of learning and the pursuit of excellence while guiding our students with a moral compass. 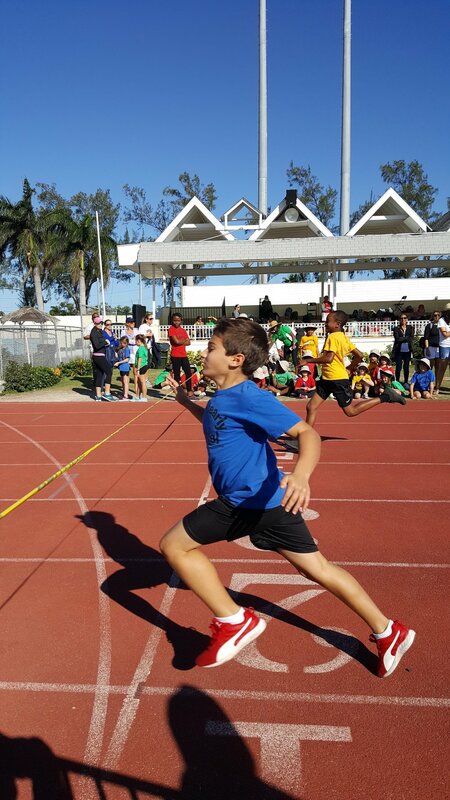 Tambearly School held it's annual sports day event March 15, 2018 showcasing athletic skills practiced by our young sports enthusiasts throughout the school year. 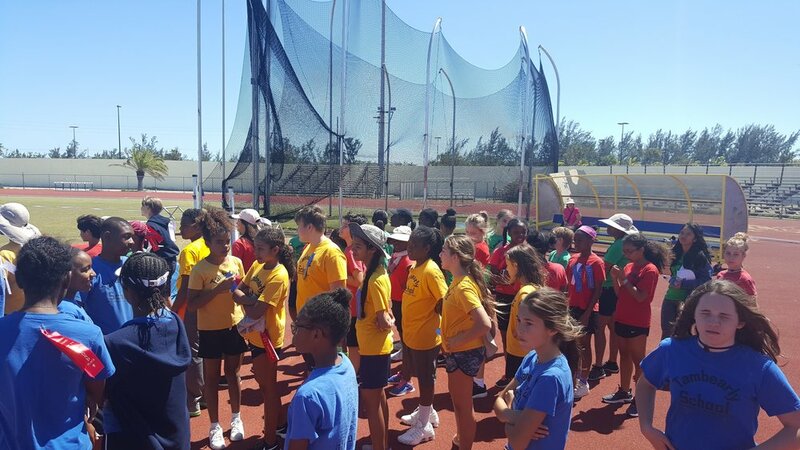 Engaging in friendly competition, Tambealry House teams participated in individual events, cheered on their teammates during team events, and learned valuable lessons in sportsmanship. At the end of the day, it wasn't about which team had the most points, but that all worked together experiencing feelings of team spirit. Hats off to our students grades nine and ten for a superb job assisting during the day with younger grade levels. 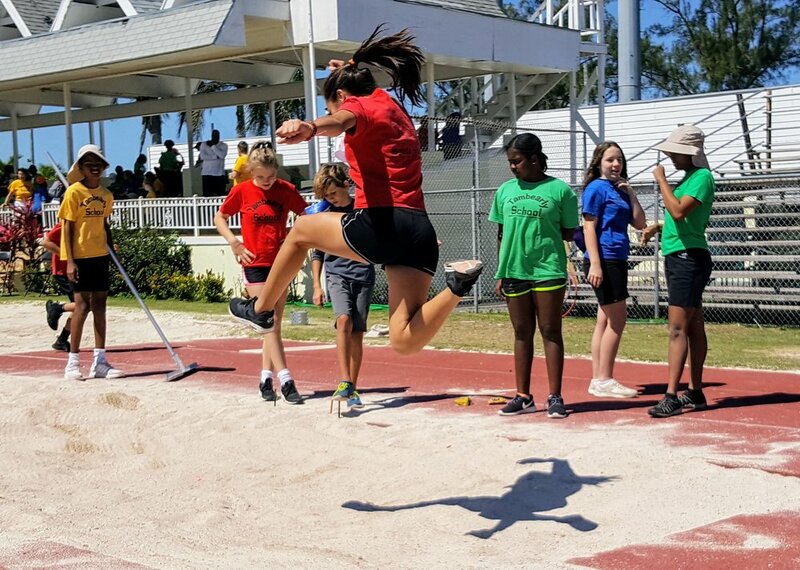 Special thanks to Coach Villi for organizing another successful year of fun for everyone. As you can see from the photos Grade One were so excited to be able to look at the sun with special protection sunglasses. The children’s faces absolutely lit up when they saw the sun for the first time. Next week we shall be using a telescope. Grade 2 enjoyed Mufti day by talking to their penpals at the San Diego Jewish Academy. They showed off their trophies they won in the Chess tournament. Mrs. Langford even dropped in for a quick hello. This was a great way to end Mufti day. 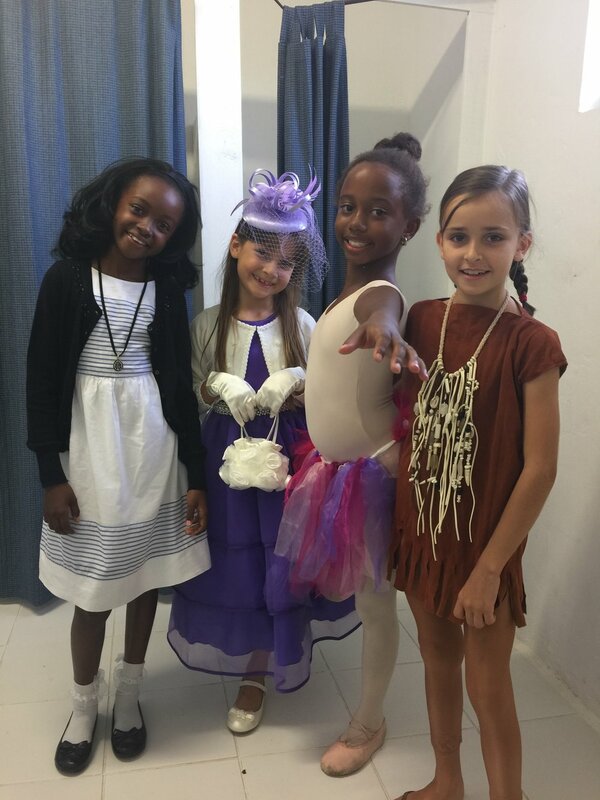 Grade 2 put on a splendid performance of poetry, much to the delight of the audience. 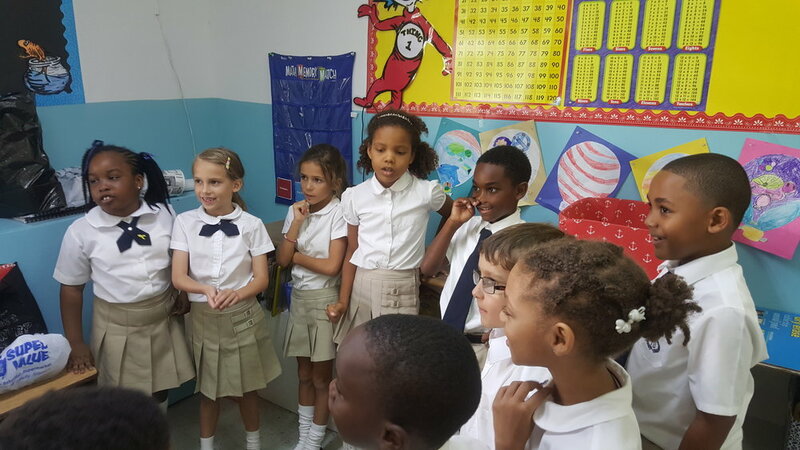 In spirit of the Valentine's season, Grade 2 put on a showing of their poetic talent during their publishing party. The poems we're loved by Mrs. Langford, the parents and all who came to support them. It was indeed a delightful morning. 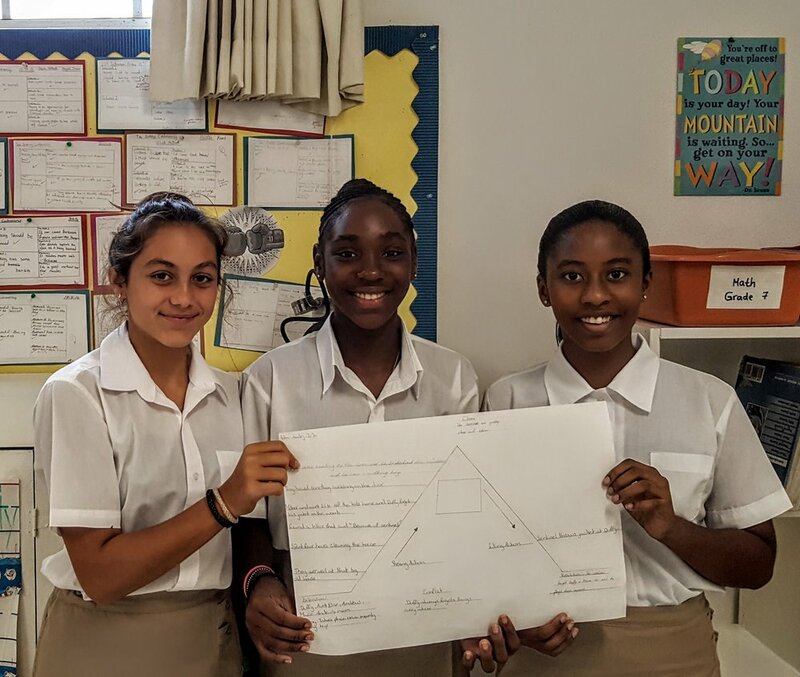 The students of grade 6 were learning about the cell, the basic unit of life. 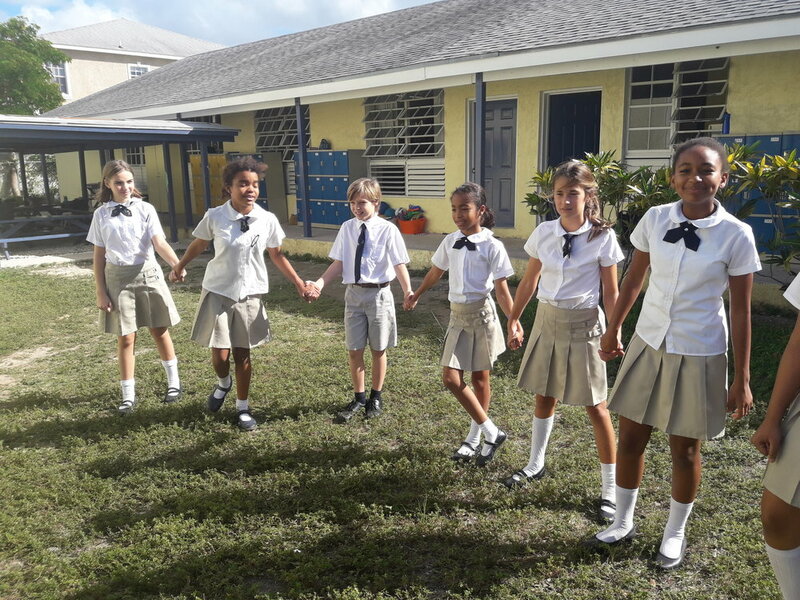 To cement the role and importance of the cell membrane, grade 6 played the game, red rover. Needless to say, they had a blast while learning that the cell membrane protects the cell by being particular about what gets in and what goes out. Who needs a cell phone? No more dropped calls. Kindergarten have been talking on the tin can phone during their investigation into how their five senses work. The children continue to enjoy developing their jigsaw puzzle and tangram skills. They are becoming creative painters. Oh the places we’ll go in Grade two, or should I say Oh the places we are going in Grade 2. We had a successful Parent Conference day in Grade Two. The parents were so proud, they left sweet notes for their kids to garner inspiration from. To close out the fall term, we made special holiday cards for penpals in our partner classroom in San Diego. As a result of The Global Read Aloud project, we will read the sequels to Fenway and Hattie next year. We are all so excited to begin a new saga. In the meantime, we all enjoyed taking selfies to help me (Mrs. Bowe) celebrate Barbados’ Independence day on November 30th. 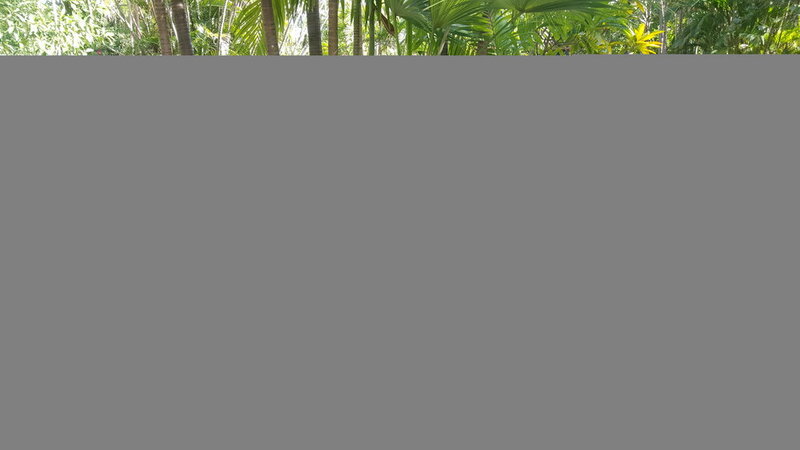 We also had a wonderful trip to Ardastra Gardens. 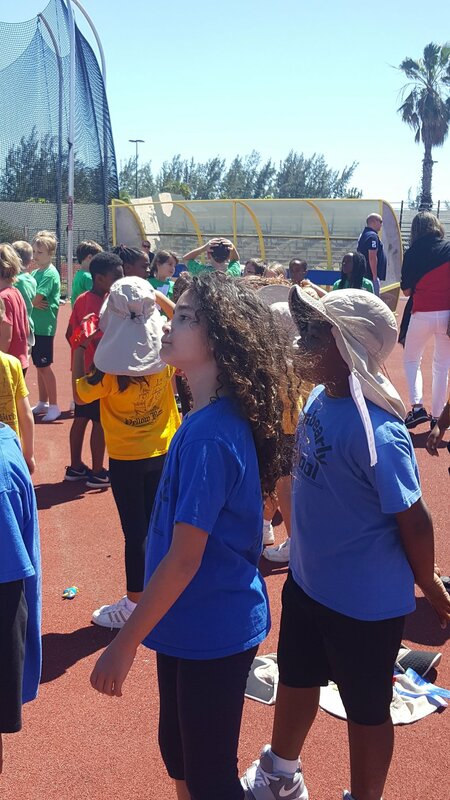 The students learned about special animals such as; the West Indian Whistling Duck, Hornbills, Servals, and of course the Pink Flamingoes. Back at school we took pride in being good neighbors and mentors to Grade 1, in helping them prepare for their first publishing party. And by no means least, we enjoyed the whole process of the Christmas door being created. The gifts are not real, the real gifts are the students and teacher of Grade 2 (smile). Have a wonderful Christmas holiday everyone. Grade 6, have been learning about how complex Earth is and that it is divided into varied systems to help us to understand it better. Those systems are biosphere, atmosphere, hydrosphere and geosphere. We learned that each system contains different materials. Although the systems work in different ways, they all interact. As a result, what happens in one system affects the other. For example, the hydrosphere (the system holding all of Earth’s water) and geosphere (the system referring to the parts of the planet that are solid, like the mantle and crust) interact through the water cycle. We had an interesting time learning about the varied instruments and what the meteorologists do to inform us about the weather. Of course this added to our understanding of how Earth’s complex systems interact daily. What we took home is that Earth is dynamic and we must value it! 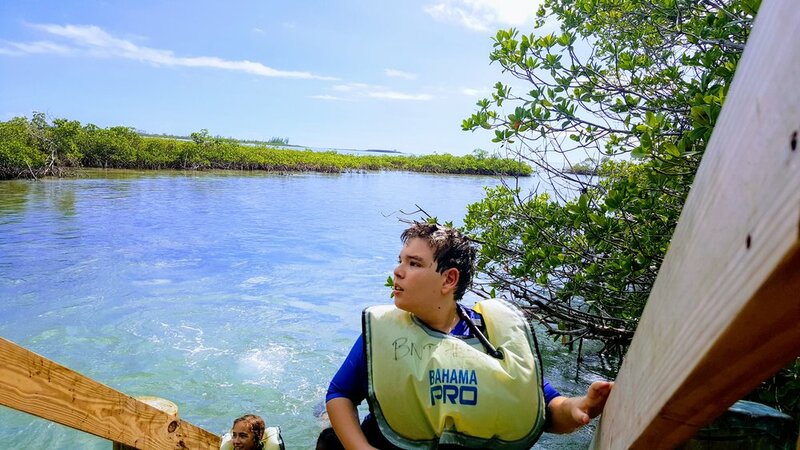 Seventh grade students visited Bonefish National Park Monday, November 6, 2017. 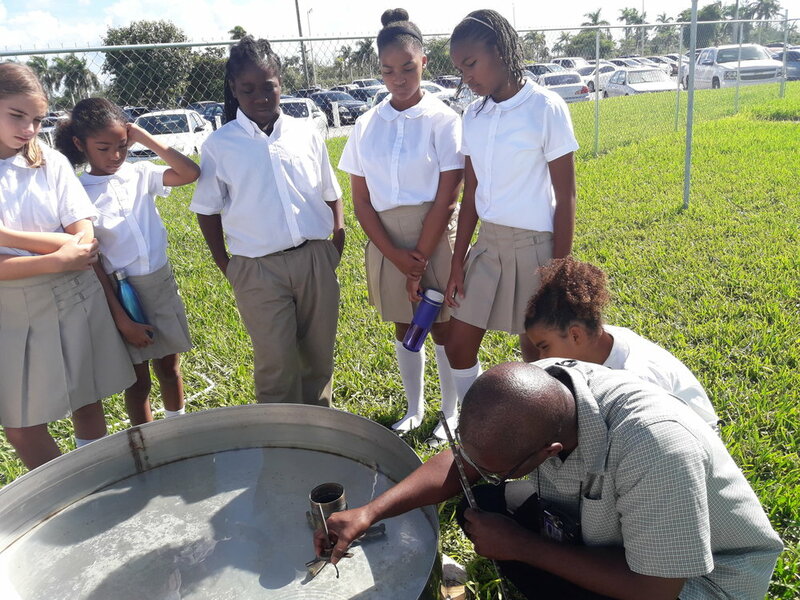 Volunteers from Bahamas National Trust provided an afternoon of fun and adventure while students learned about the Queen Conch as an important natural resource to the Bahamas. 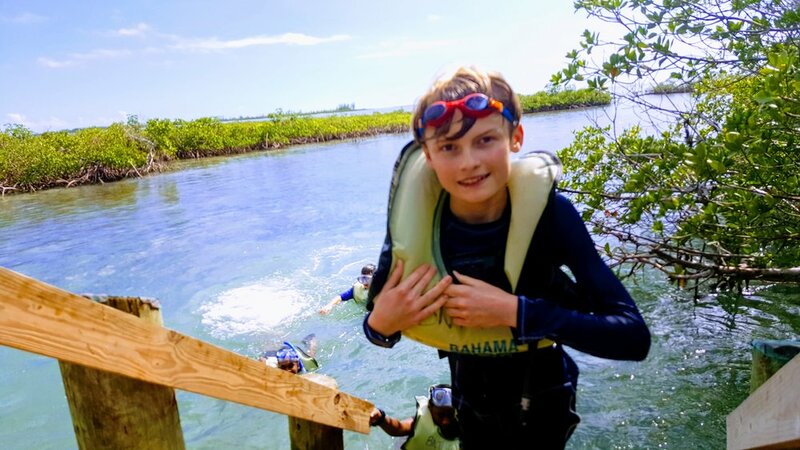 Snorkeling through trails to observe major food sources for the Queen Conch and various sea life, the students learned how environmental changes and human pressures affect the species. Oh the places we’ll go in Grade two. We welcome four `brainy’ and `footsy’ students; Laney Stevens, William Knowles, Emilia Ortiz Kaleb Holder. 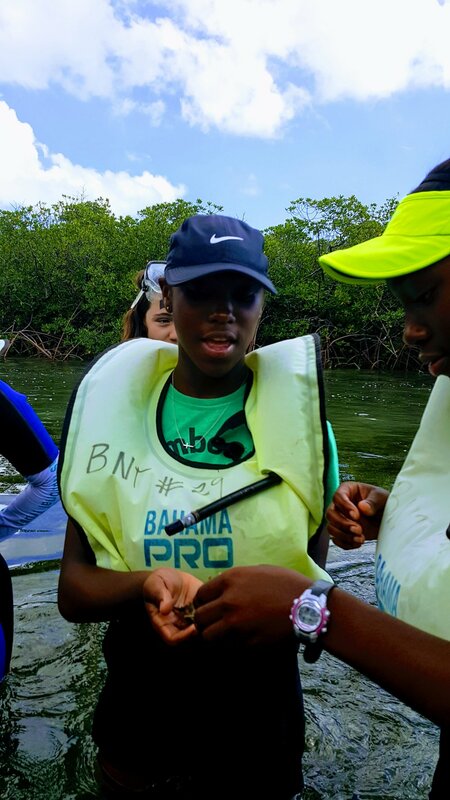 The students have been excitedly using new tools,that have been providing them with many new experiences. 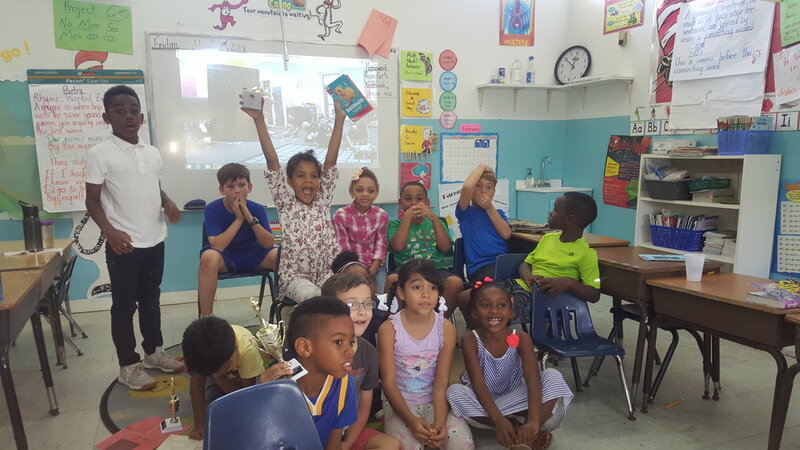 Grade Two has been using technology to connect with each other, and students from a classroom in San Diego through the use of Edmodo. This tool has also been facilitating the global reading project: The Global Read Aloud. For the last four weeks, the students waited in anticipation everyday to hear about the adventures and dilemmas that Fenway the dog, and his “Short human” Hattie has been experiencing. We can’t wait to find out how this saga ends. We will sure miss hearing about Fenway and Hattie. But less we forget, we have an awesome mural to remind us. Hats off to all the students of Grade two. We hosted our first assembly in grand style. The students Recited and sang much to the delight of the audience. There was little a something for everyone to enjoy. 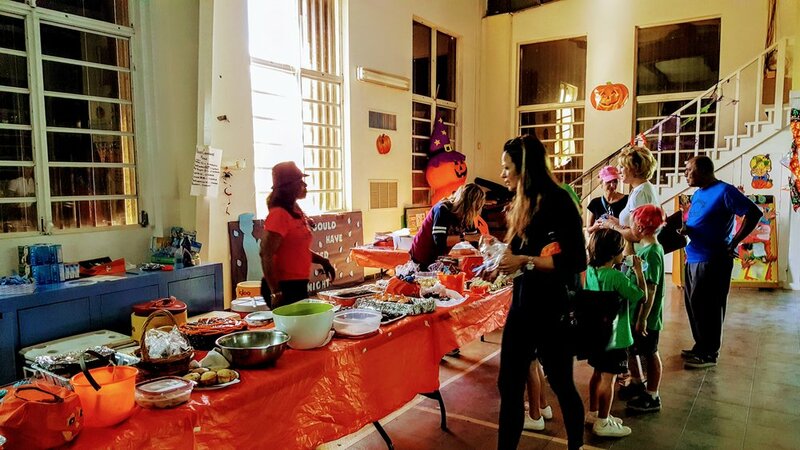 The annual Tambearly Harvest Carnival provided an afternoon of fun for our students. 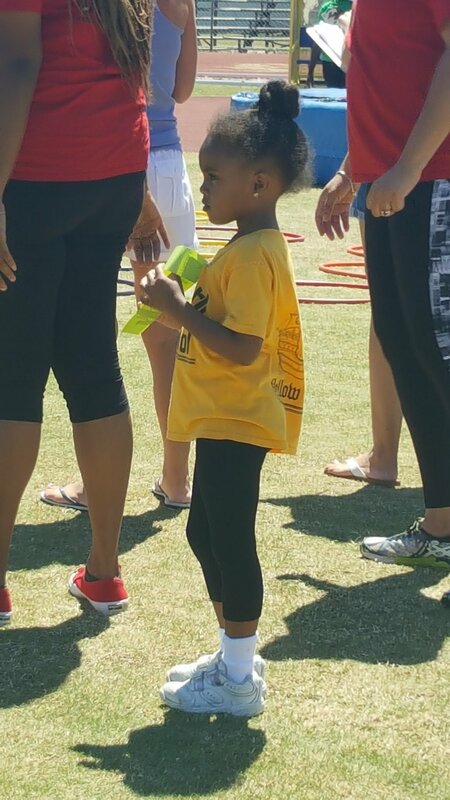 The event included games, prizes, a bounce house, food, face painting, and a super-sized water slide. This would not be possible without the combined efforts of so many to make it a success. Upper school students took a leading role in cooking, preparing, and delivering lunches to our students. We appreciate the parents who pitched in, donated, and volunteered. Students of Grade 8 had their first Bake Sale under the guidance and supervision of Mr. Smith and Mr. Diallo. 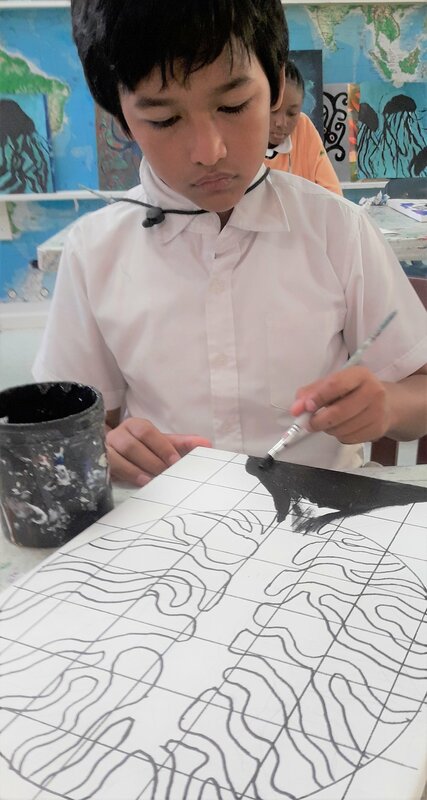 It was very successful for a first time and we would like to thank all parents and families and the all the students for their support. Fifth grade is into new things! Fifth Grade is shifting into the full swing of our new academic year! We have started this new school year off wonderfully. The students are engaged and learning great things. The students are working each day, to become responsible Tambearly students and each one is giving their all. We are very proud of each one of them. 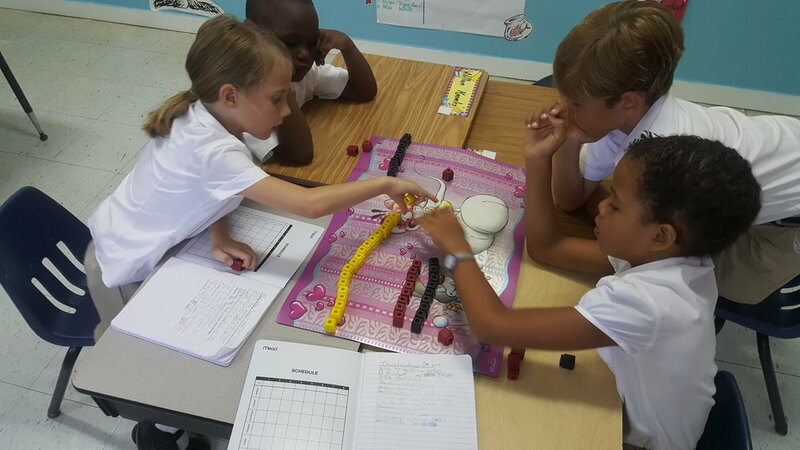 In Fifth grade math, we have focused on complex multiplication and division problems, which engaged students minds with each step. We are currently working on expressions ( numerical and algebraic). The students have adjusted nicely to the math curriculum. Creative writing is moving along nicely. We are actively involved in creating personal narratives. Stay tuned for our first publishing party of the year! 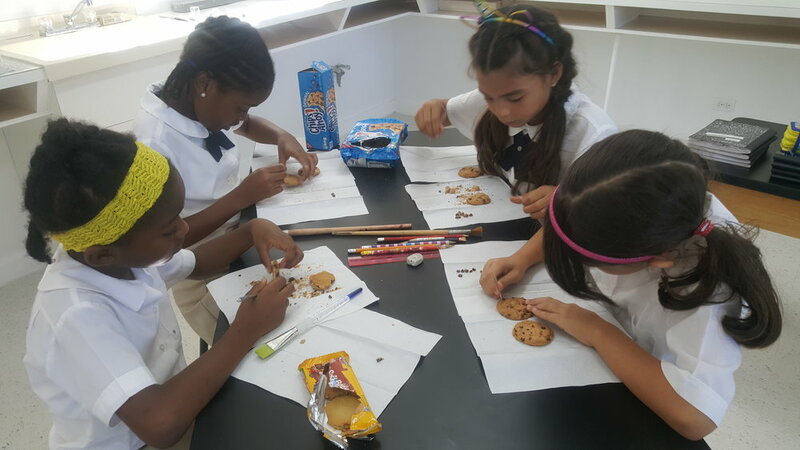 Fifth graders love science. We have begun the year learning about weather. 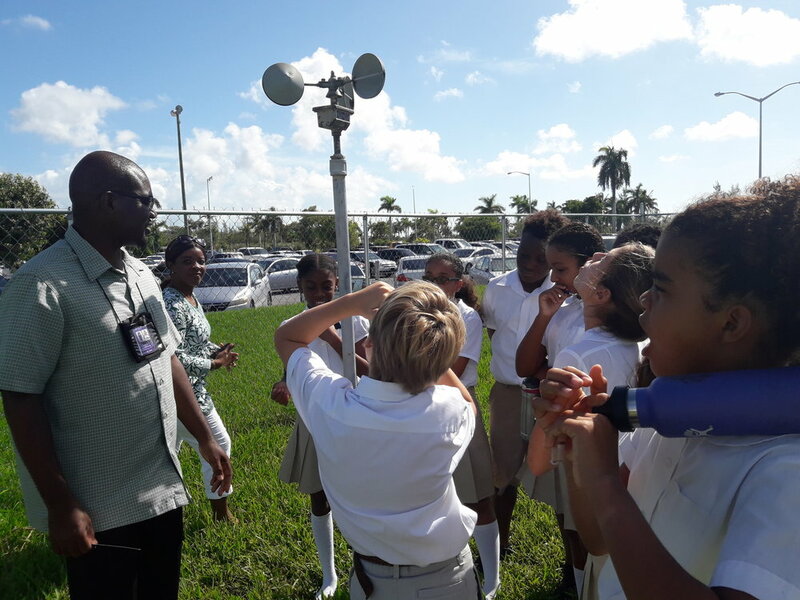 Our topics have included: the difference between weather and climate; weather patterns; cloud formation; and most recently severe/stormy weather! Here are a few pictures of fifth graders creating their very own Tornado in a Bottle. What’s New in Grade 9? The school year started off with lots of excitement with new teachers and subjects in the 9th grade! 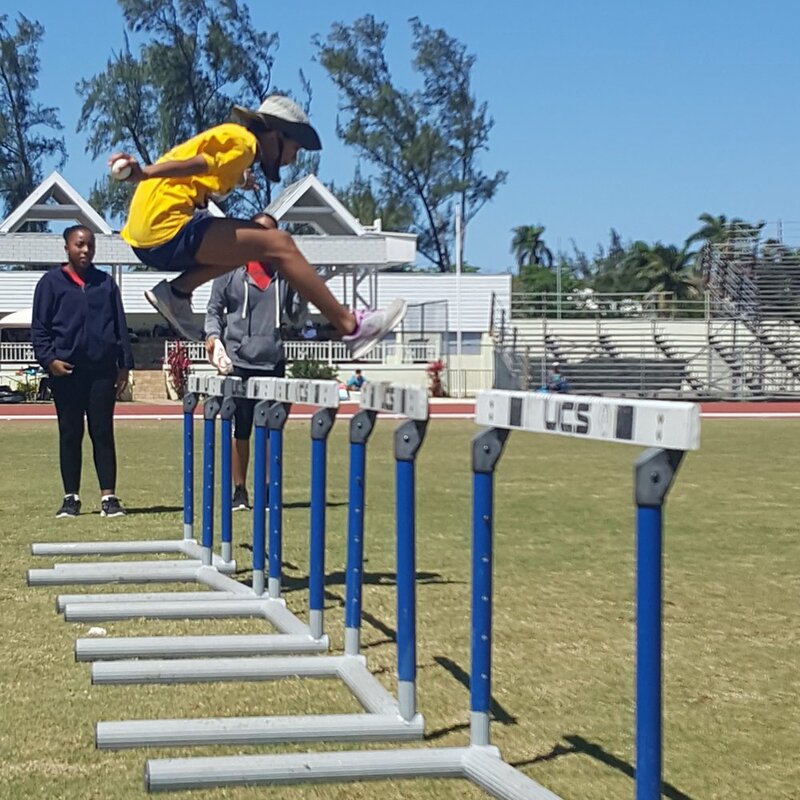 Welcome Luque Lockhart, a new student, who has returned to Nassau from living abroad. We are happy to have him in our homeroom! Both new and old students have entered the school year with a fresh, positive attitude. In math, we have seen how The Game of Life can create a linear trend of increasing monetary yields and have review old concepts by looking into number theory. 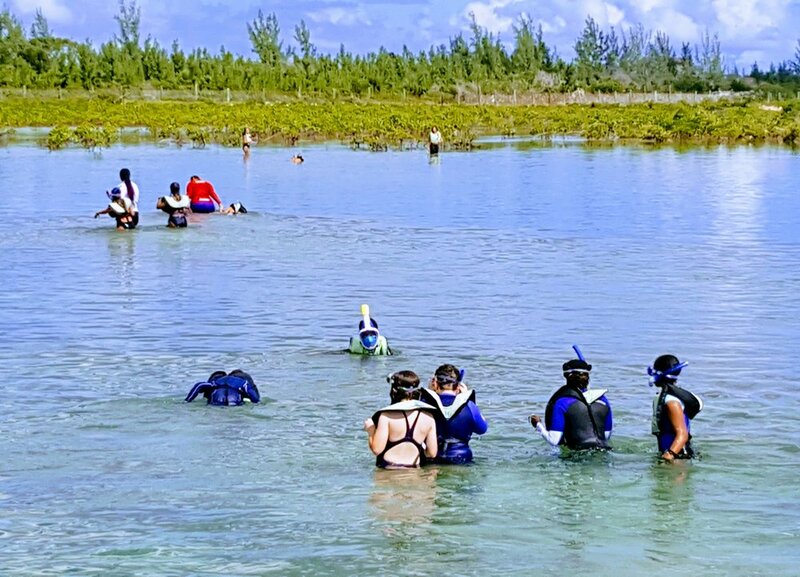 Students are meeting new challenges as they take on a new course: Caribbean History, and learn new concepts in science. With more time in the week dedicated to learning and classes, students have found more productive ways to spend their time and are currently working on the best ways to allocate their time in the day. 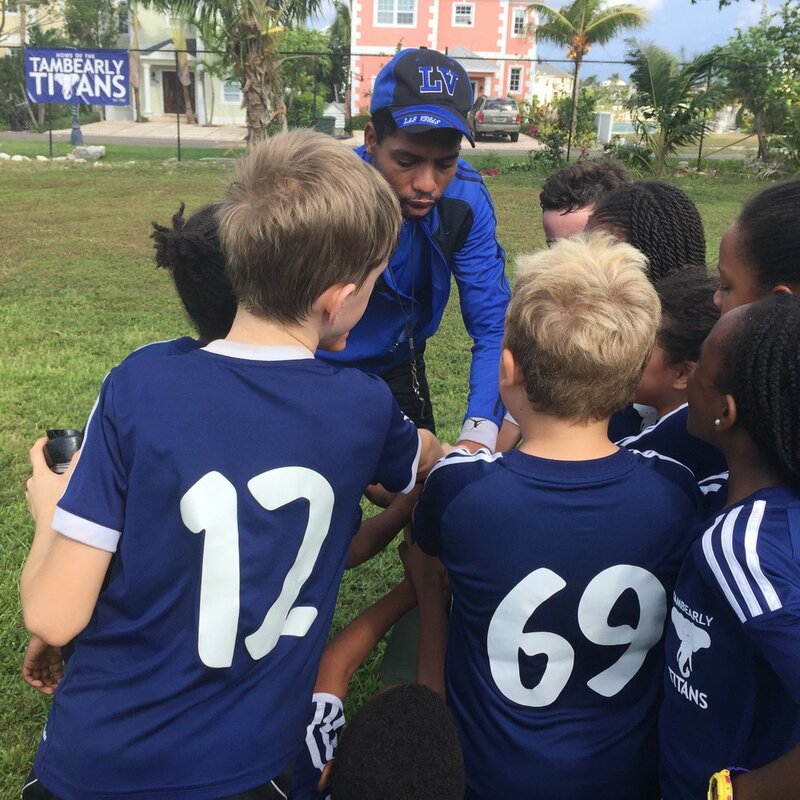 Our students have been shining role models in leading bake sales, tackling new athletic challenges in after school soccer programs and swimming in school, and putting more effort into reading this year. They have also made a group decision to do community service at the Humane Society, where they were the first to volunteer in washing dogs and puppies. Kindergarten boys and girls are quickly adjusting to new routines and expectations. Their self-portraits are developing rapidly with their friend “Matman” to help them. 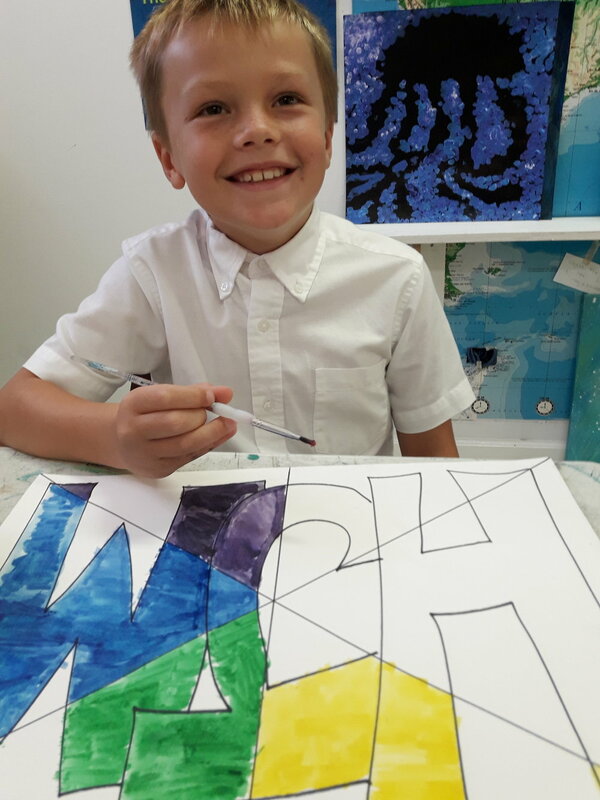 Pattern work is fun and colourful, and the children have been enthusiastically exploring and developing their pattern sense using a variety of materials. 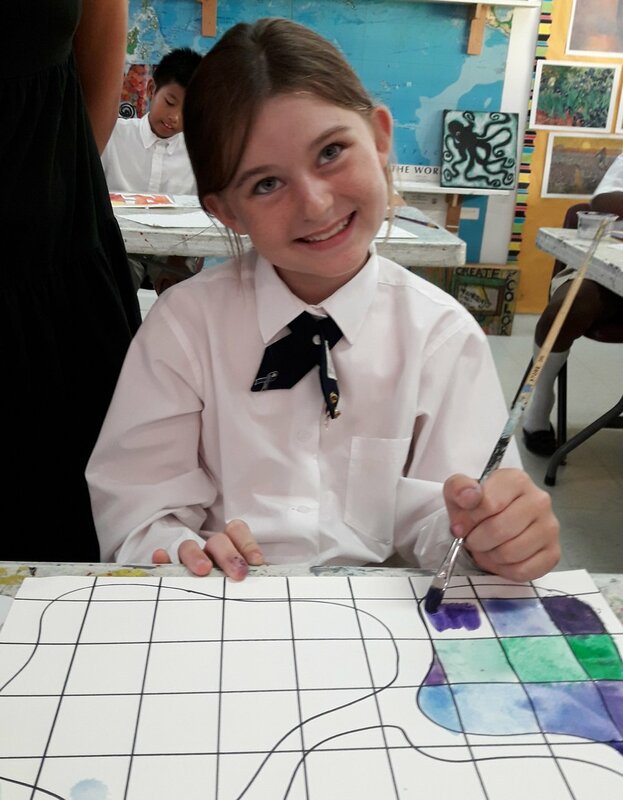 Painting is always a popular activity and the Kindergarten children have been introduced to the idea of making secondary colours from primary ones. Seventh grade Tambearly students were quickly caught in the hustle and bustle of a new school year. 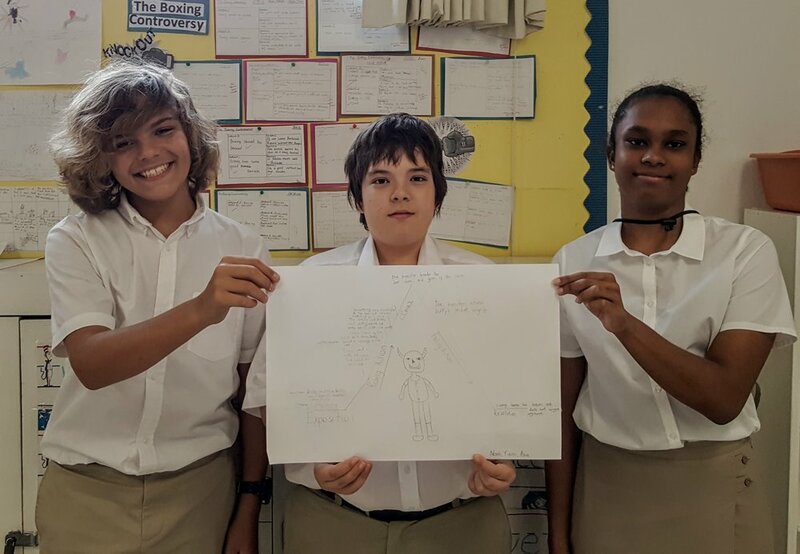 From day one students began to hike their way to the peak of plot diagrams adding new, advanced elements and terms to identifying sequence of events. Our seventh graders are exploring the writer’s craft of the authors we study in preparing to write their own stories. Each is looking closely at understanding character motives in dealing with internal and external conflicts through climatic highs and lows before falling into a resolution. Comparing techniques of fiction and non-fiction, seventh graders have found similarities in themes with many differences in structure. Life lessons have been learned through the memoirs of Shaquille O’neal and Ernesto Galarza while the works of literary greats Rudyard Kipling, Ernest Hemingway, Bruce Coville, and Piri Thomas lead us in adventures of mystery and suspense. Students also continue to develop spelling while strengthening elements of plot and grammar skills creating “spelltoons” with new terms. 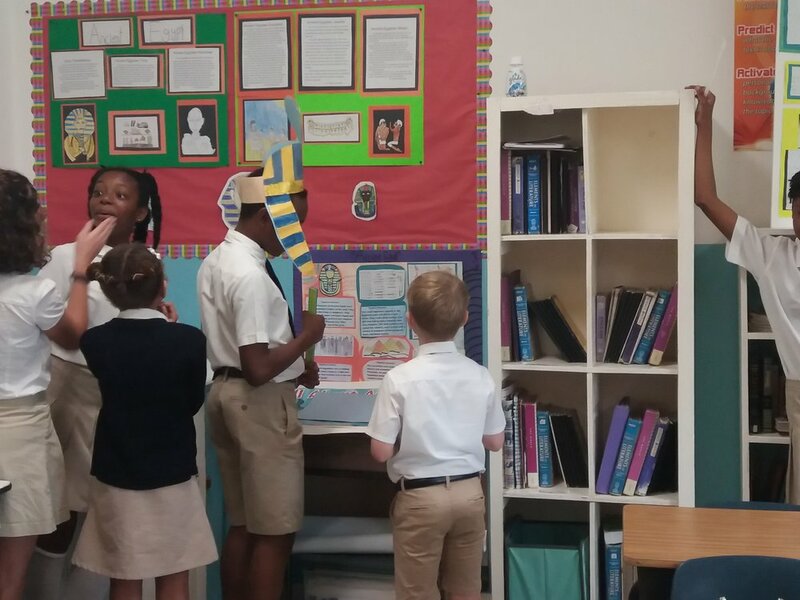 The energy and excitement proving our seventh graders love learning is seen each day. The journey up this mountain is just beginning but sure to bring great rewards as we head to the climatic peak before resolving to see this year end. Grade three is happy to welcome three new class members. 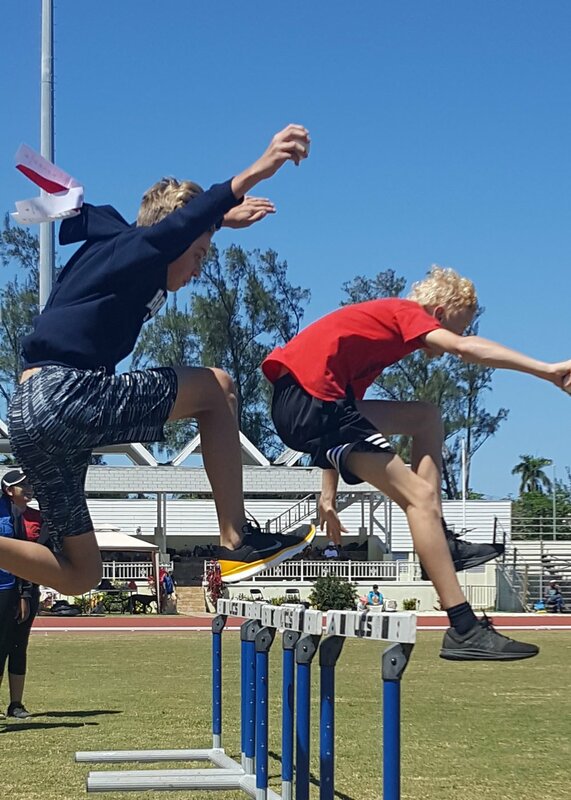 Welcome to Joel Pubien, Luke Vorster and Henrik Moretto. Fall is officially here and we are celebrating its arrival in third grade. Our classroom is becoming an explosion of autumn colours as artwork in fall hues is displayed. Seagulls fly across brilliant sunsets and our pumpkins and scarecrows will bring a smile to your face. Place value, rounding numbers, addition and subtraction along with fact families are keeping us busy in Math while stories of adventures are keeping us delving into our readers. This week we stepped into the world of poetry and are excited about creating poems called Japanese Haiku. And guess what? They don't even rhyme! You are cordially invited to peek into grade three any afternoon to see out work on display. Also, don't forget to say hello to Chip, Sunny and Splash. Tambearly School launched 2017-2018 Club Days Friday, September 15. Clubs meet each Friday from 1:30-2:50. 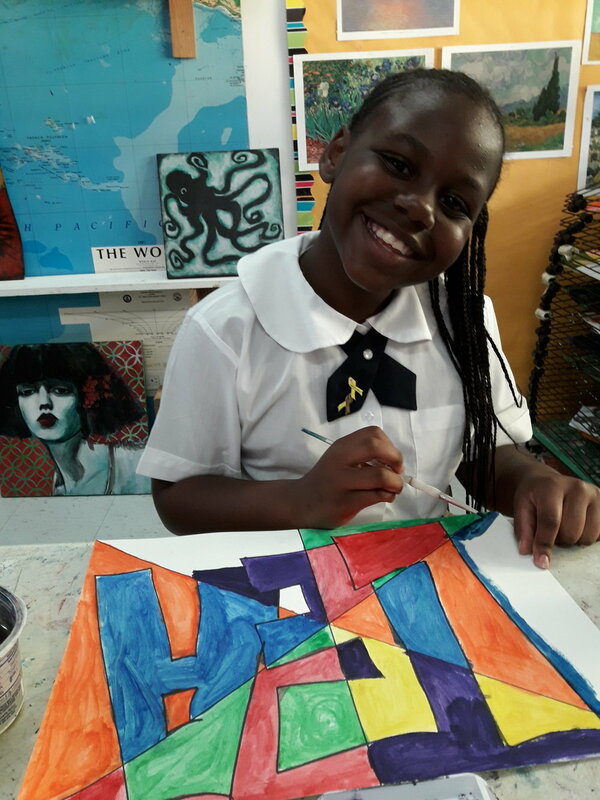 Craft and games hosted by Suzi Wong and Olga Panchina will offer a different craft activity exploring the creative talents of our Tambearly students. 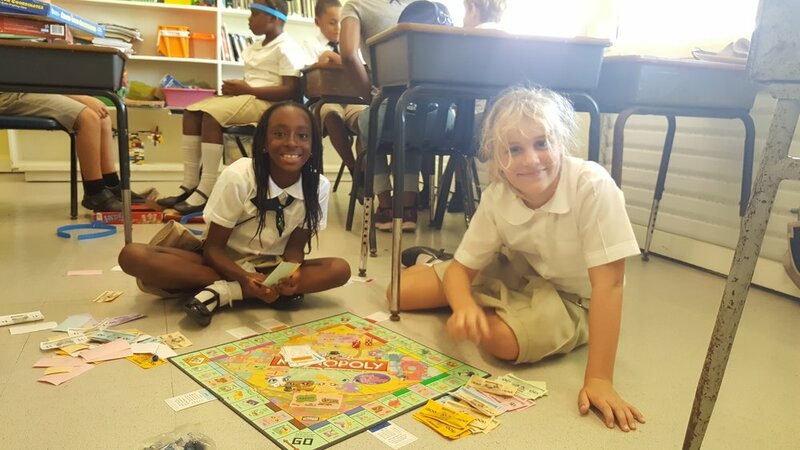 Games Club hosted by Mrs. Vaughn, Mrs. Bowe, Ms. Kaup, and Ms. Higgs offers an excellent range of interesting strategy games that enhance logic and reason while entertaining our students. 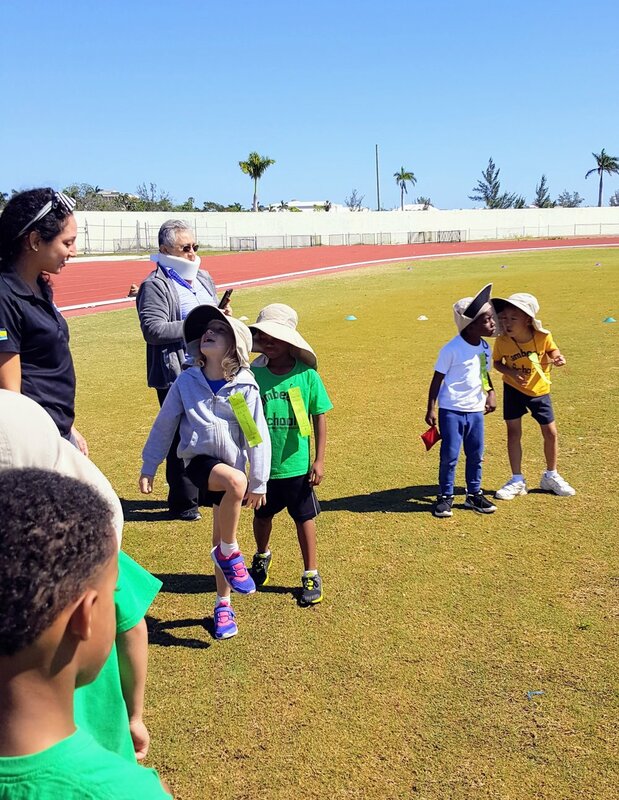 Sports Club hosted by Coach Villi and Mrs. Brown is a favorite, keeping our students active and fit. 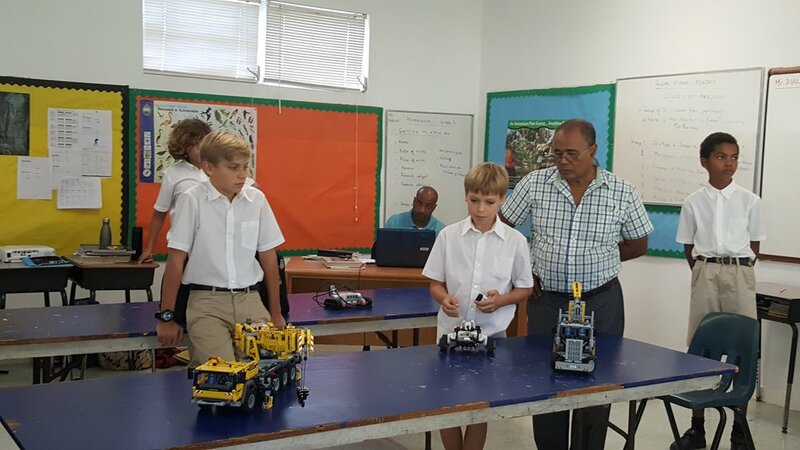 Robotics Club hosted by Dr. Sands and Mrs. Burrows kicked off with efforts in boosting students' problem-solving skills, teamwork, creativity, and technical knowledge in an engaging, collaborative way while preparing for competition in the spring. 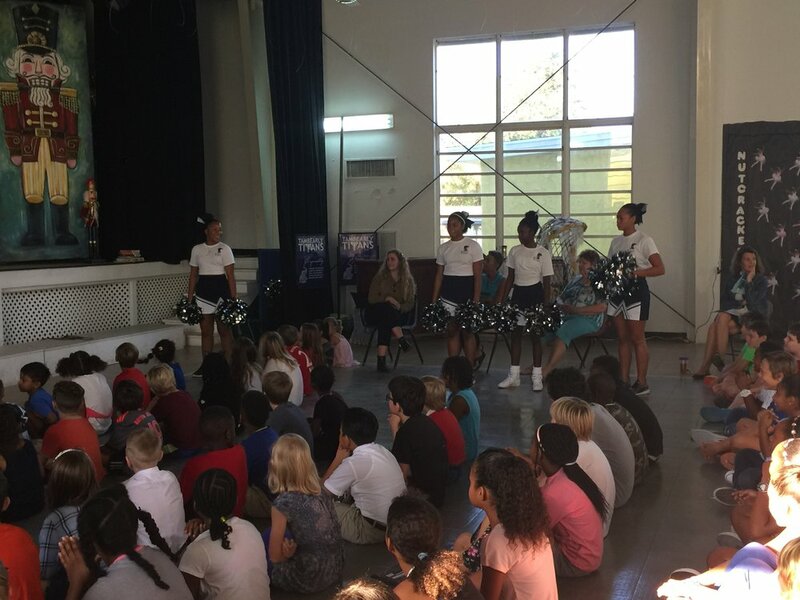 Dance Club hosted by Idania Stroud, Ms. Seally, and Ms. Olua engage our students with music and movement to experience the wonder of dance and joy of performing. 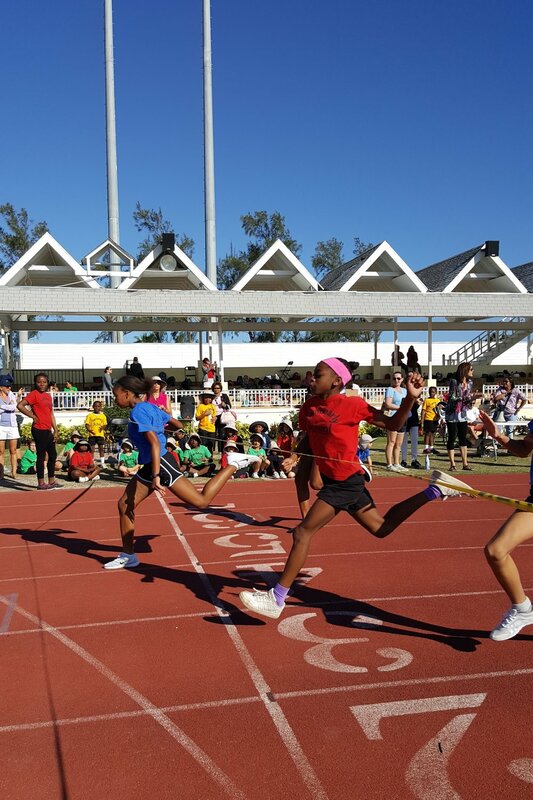 If you have a special talent you would like to share with our students, please let us know. Community members are welcome to volunteer their time to share hobbies and interest to help engage our student’s creativity. Those not available for each Friday club day, may offer an activity one day or possibly one Friday a month. 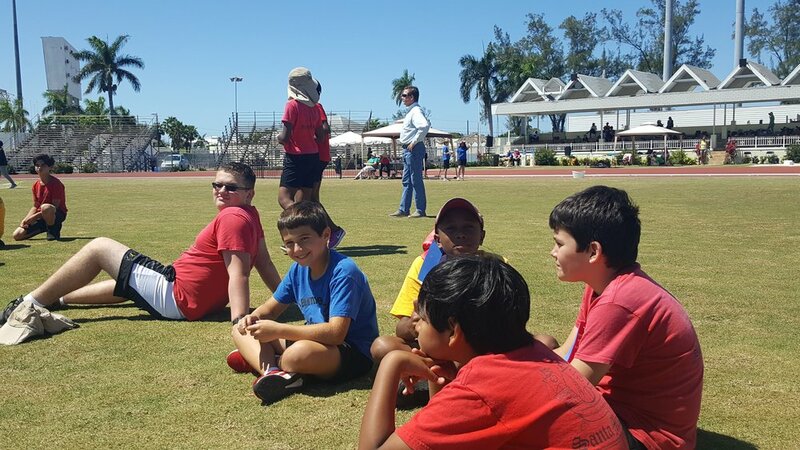 In addition to club day activities, Tambearly offers an array of extracurricular activities after school. 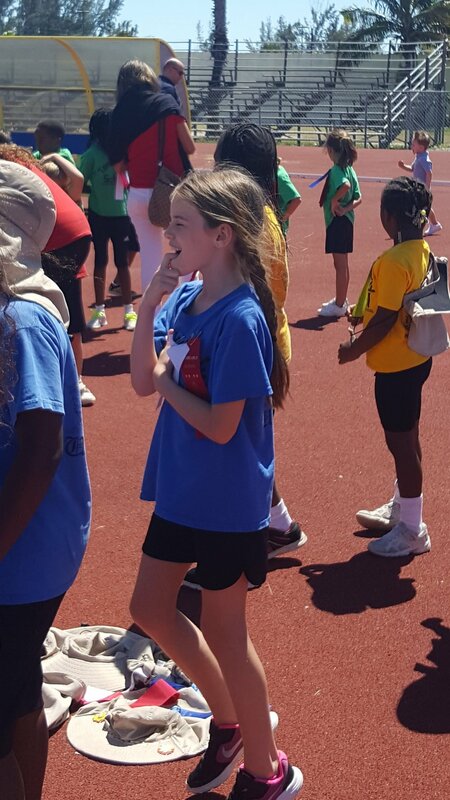 Students may participate in soccer, archery, volleyball, chess, swimming, band, or Karate. Students inquire about meeting days if not signed up yet. Grade One is off to a great start! We are determined to become champion chess players by the end of the year! Our first science topic 'Animal hall of fame' has been launched and the children are enjoying learning about elephants and lions! 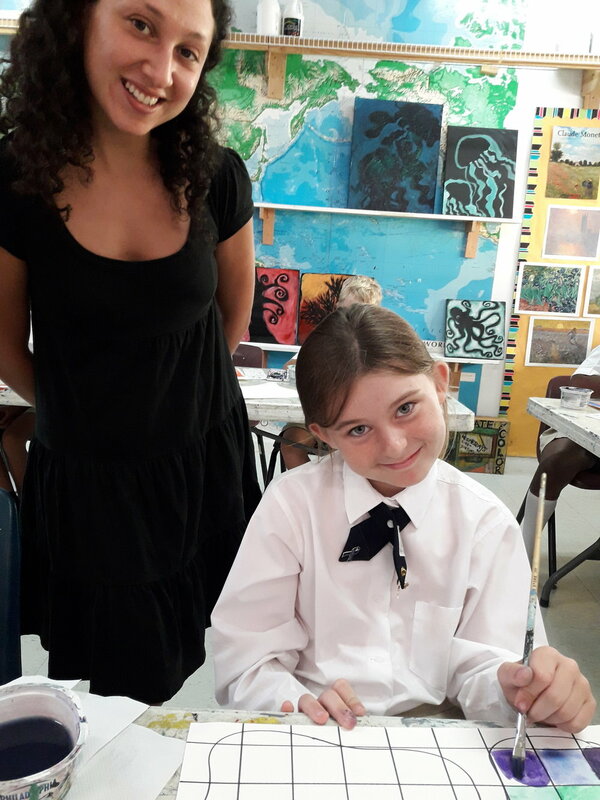 This includes lots of messy work such as drawing, painting and sculpting! Our first annual chess tournament was a big hit! Congratulations to all the winners! Maria Tallchief (America's first and first Native American prima ballerina ), Sacagawea (Native American interpreter who helped explorers Lewis & Clarke), Wilt Chamberlain (American basketball player) and William Wallace (Scottish knight). 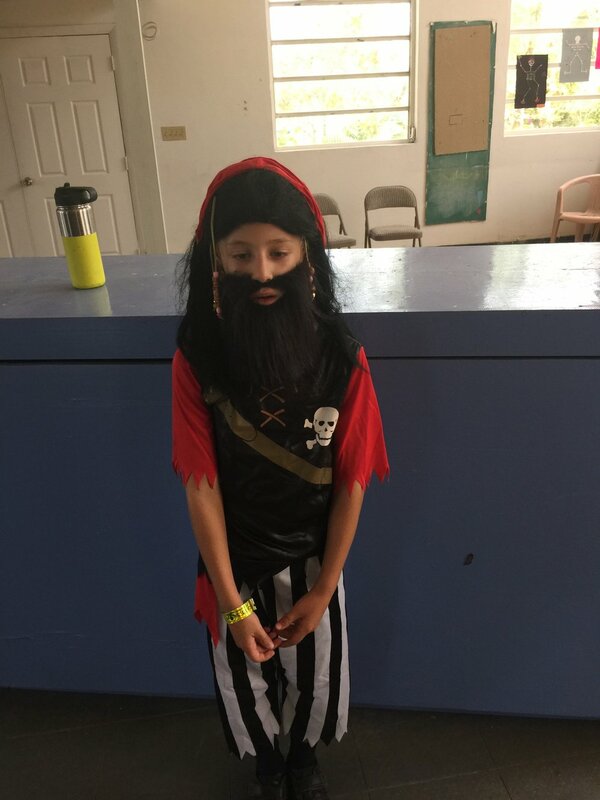 Other popular characters such as Blackbeard, Pele, Eleanor Roosevelt, Anne Frank and Albert Einstein also made smashing appearances. 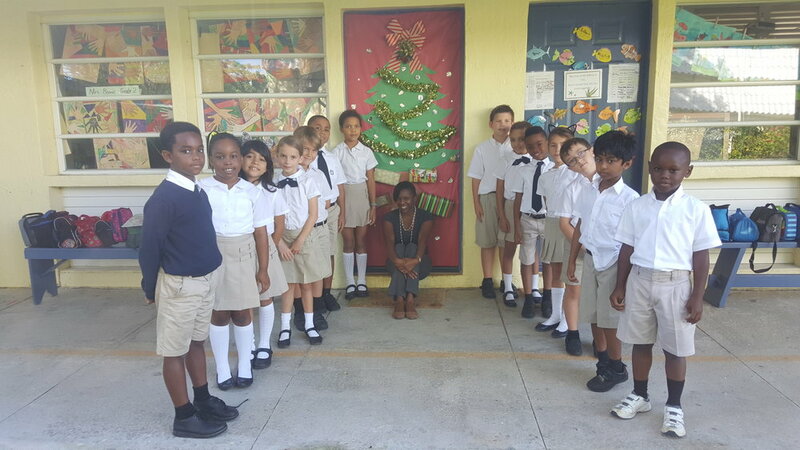 Congratulations to all the students for their hard work and to Grade 3 teacher Mrs. Wallace for continuing this wonderful and educational tradition at Tambearly. 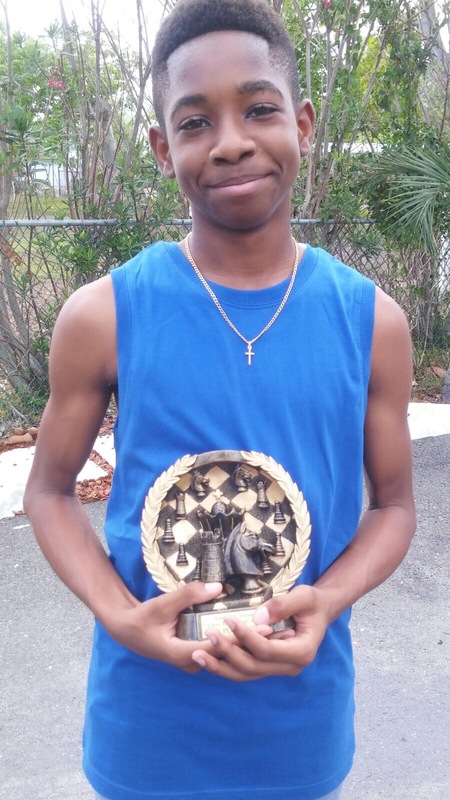 Congratulations to our 7th Grader Tyren Garidner who was awarded "Best Player" at an inter-school chess tournament held on Saturday May 20. Fellow classmates Nicholas Astwood, Maverick D'Arville, and Mattias Rattameister secured third place overall for team Tambearly. GO TITANS! Congratulations to our 7th Grader Nicholas Astwood for representing Tambearly at the recent inter-school equestrian championships. 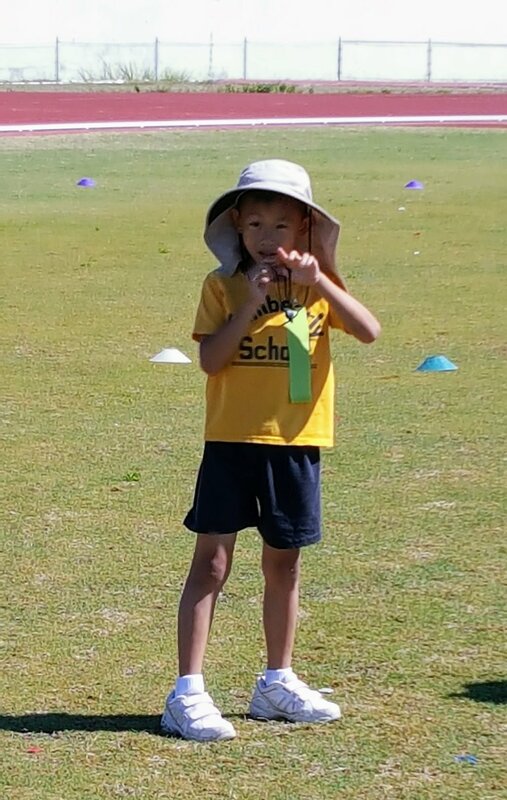 Nicholas placed 5th in the overall competition. Go Titan! Tractors were busy over the break clearing the grounds for the new high school building. Stay tuned for more news! 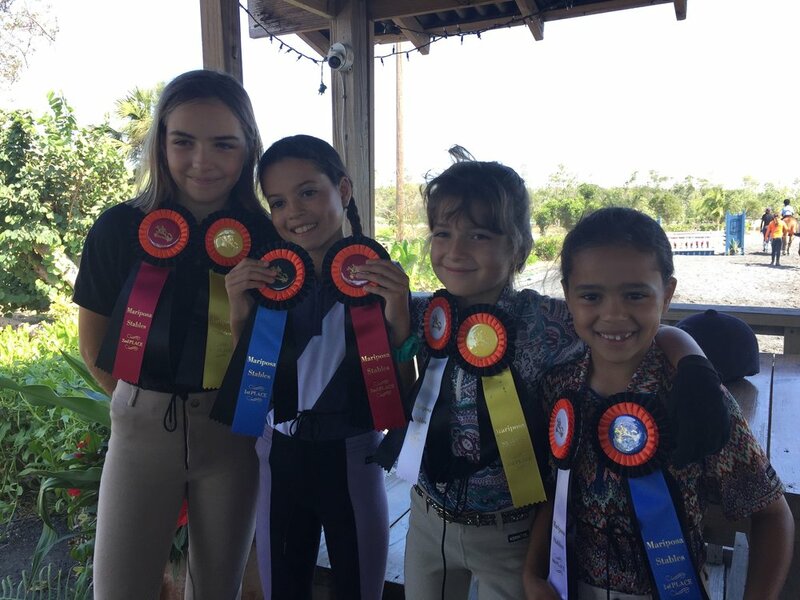 Congratulations to our equestrian club riders who participated in the first ever Tambearly School Horse Show over the Easter break at Mariposa Stables. 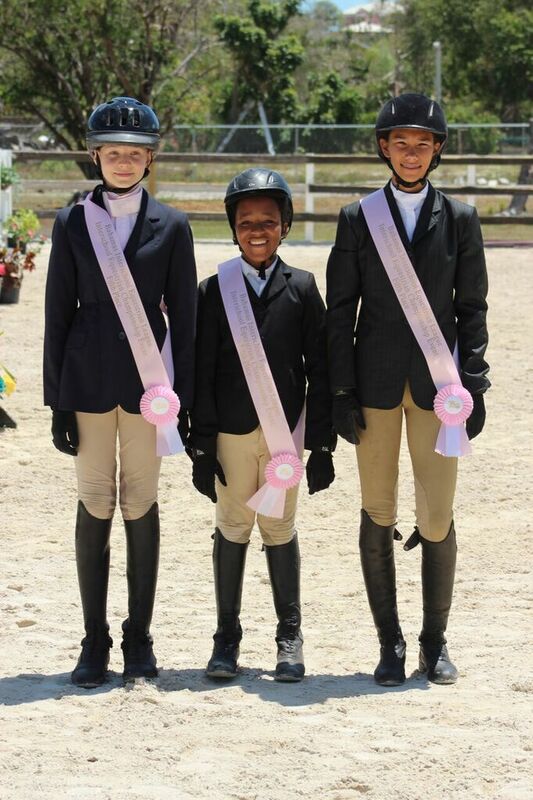 Our riders were judged by a visiting judge from the international horse show community and were awarded many ribbons. Go Titans! 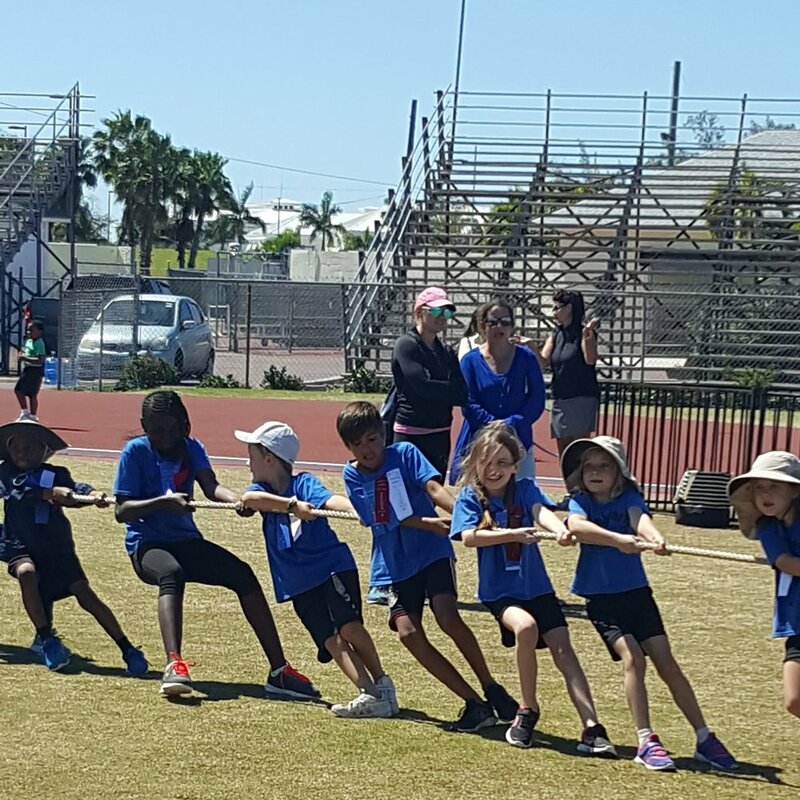 As usual, it was major fun and games at Sports Day 2017! Congratulations Santa Marias! 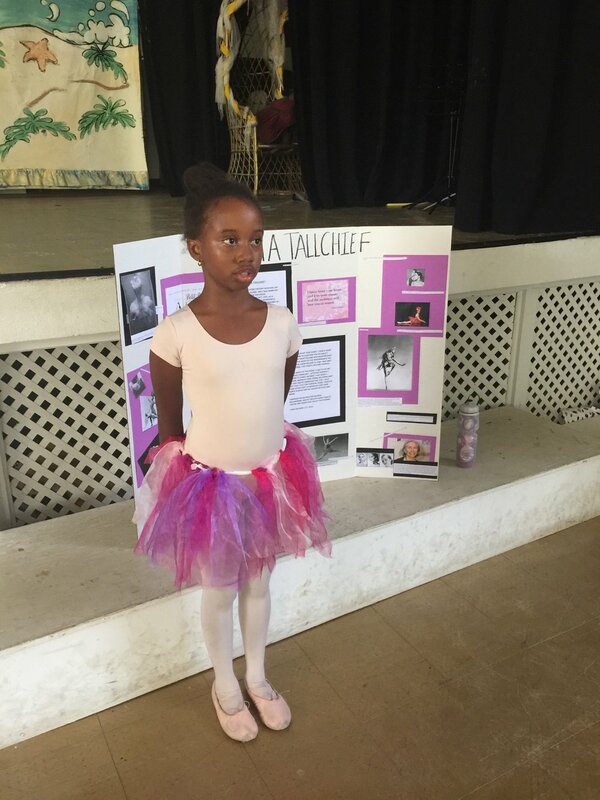 Grade 1 students boasted true imagination and talent at their recent publishing party in the school hall. 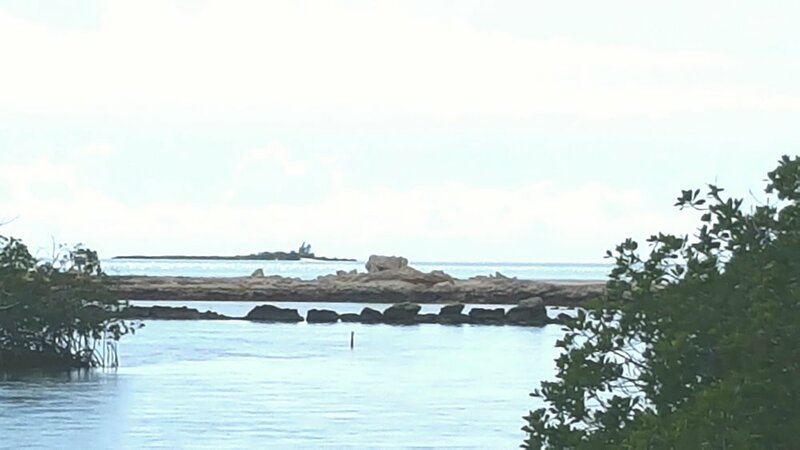 A BIG BAHAMIAN WELCOME TO APRIL THE GIRAFFE'S NEW BABY ! PRE-K, along with the rest of the world, has been anticipating the birth of April the giraffe's baby- making all sorts of crafts in preparation. The calf was born on April 15th. All smiles in Pre-K ! UNDER 8S ARE THE CHAMPIONS! 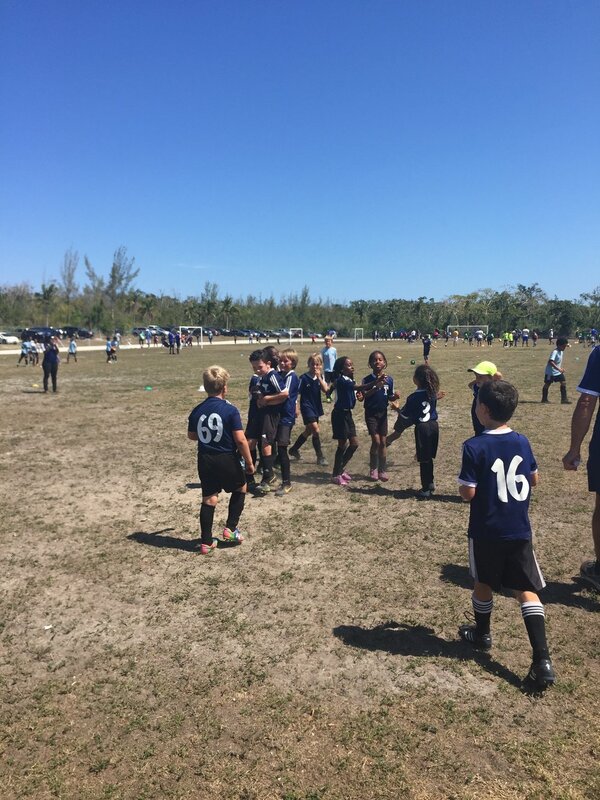 Congratulations to our undefeated Under 8s soccer squad who brought home the cup for their division at The Baha Juniors Community tournament. What a glorious end to a busy and exciting season. Congratulations to all our players and coaches for all the hard work and team spirit. Thank you to the Titans cheerleaders for coming out and supporting us. Way- to- go -Titans! Mrs. Langford is getting ready to break ground and pour cement for the new high school building. Exciting! 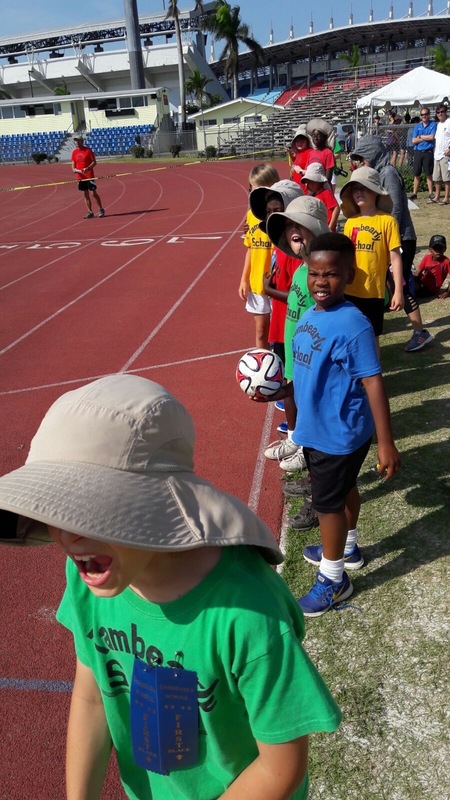 CONGRATULATIONS TO OUR CHAMPION UNDER 8s SOCCER TEAM! U8s squad came home with the cup at the recent Dominos tournament at St. Paul's Field. 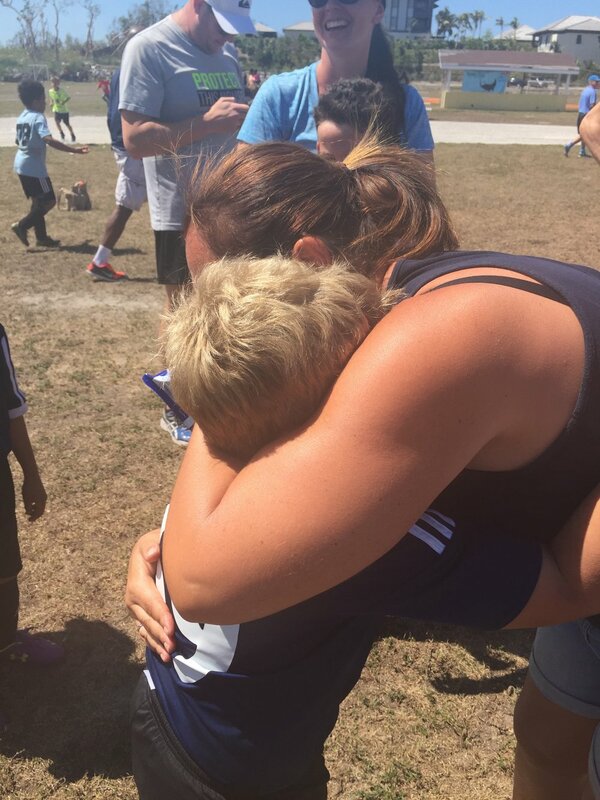 We are so proud of all the hard work and team spirit displayed by our U8 Titans-they fought hard and united. 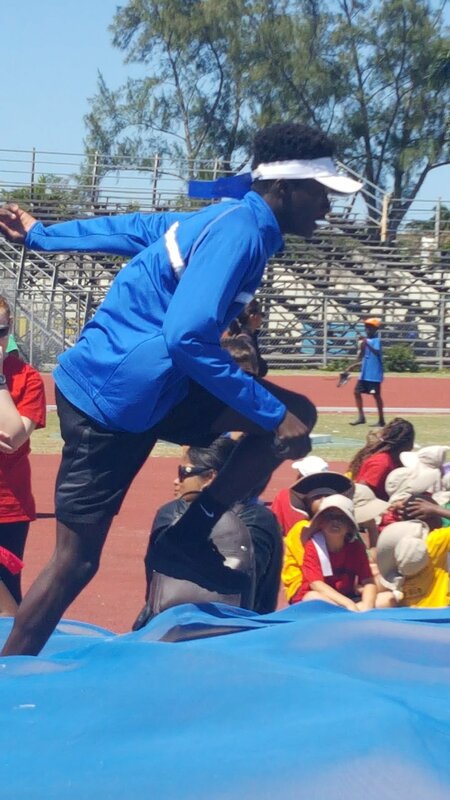 Thank you to Coach Komolafe for all his support and dedication. Emotions were high when Liam Campbell gave us the victory we were looking for. We will miss Liam and his family but they will always be Titans no matter where they go. Way to go Titans!!! 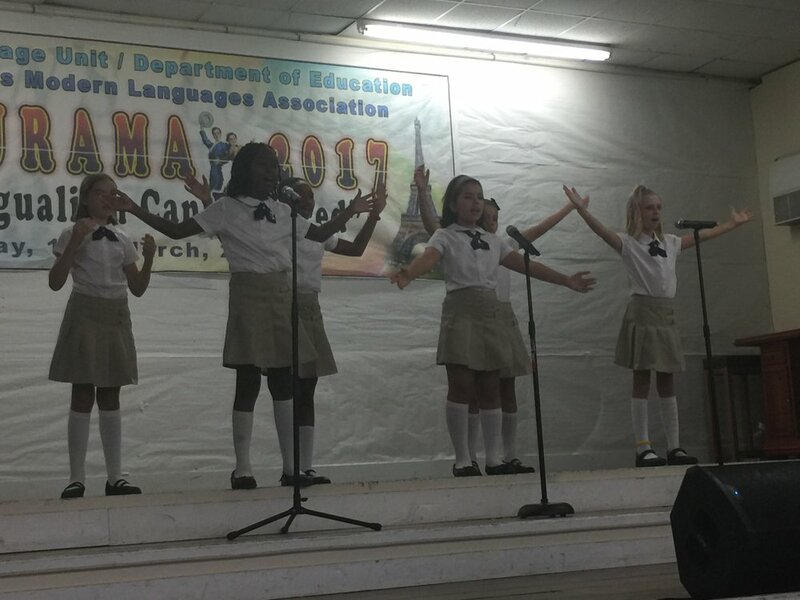 French and Spanish students from Grades 2, 3, 4 & 5 showcased their language skills in Dance and Poetry at the Ministry of Education's recent "Culturama" event. The students mades us proud with stellar performances for the crowd at St. John's auditorium. Shakira and Edith Piaf would be proud too. Go Titans! NEW HIGH SCHOOL BUILDING - COMING IN SEPTEMBER 2017! Back in February we had a presentation to update parents on the new High School building coming in September. For those who missed the meeting -here is a peek at the blueprints. Stop by the hall anytime and take a look at the rest-we have been consulting with Dr. Sands on the Science lab and it is going to be very exciting! Additionally we will have a new sound proof music room to make some noise about. INTERACTIVE DIGITAL LEARNING IN THE CLASSROOM - COMING IN SEPTEMBER 2017! Tambearly will be launching a new cross curriculum interactive computer program also in September. Stay tuned for more news! The Titans came together for an amazing day of fund-raising and riding for the fight against childhood cancer and other catastrophic diseases. Go Titans! GRADE 1 HAS JOINED CHESS! 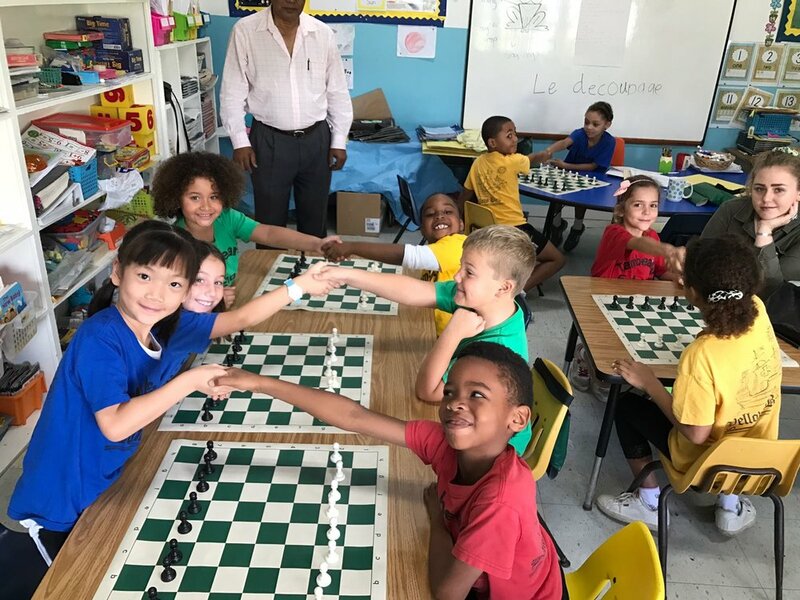 We are proud to welcome Grade 1 to the lineup of classes that now have Chess as part of their lessons. Dr. Sands is a very busy man on campus! Madame Mott (Tambearly French Teacher), a native of Switzerland, helped Grade 1 learn more about this fascinating and diverse nation. The children were treated to a video from an actual cheese farmer and had a magnificent fondue! 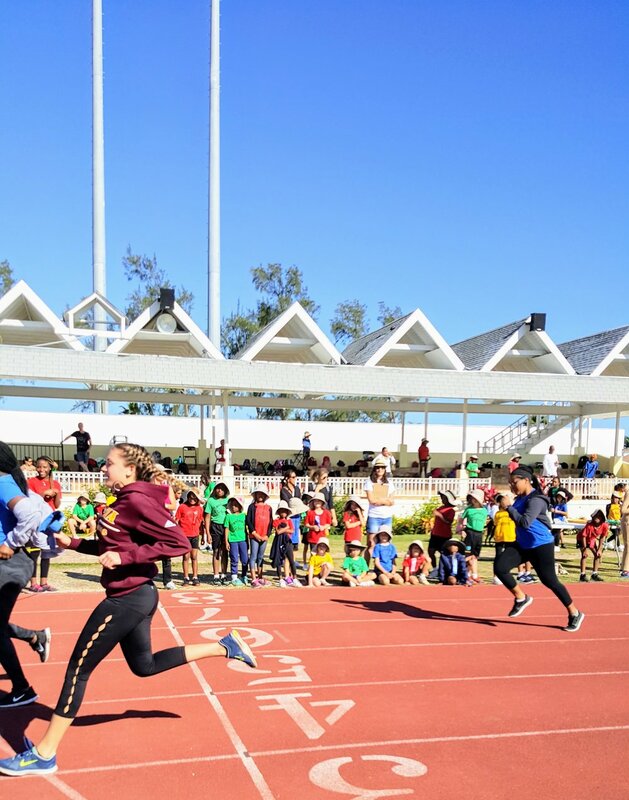 GOING, GOING, GONE- BUT ALL FOR A GOOD CAUSE! The haircuts for Cancer took place in the school hall amidst lots of cheer. Congratulations to Ben Brown (Grade 2), Mrs. Iacone (Grade 2 Teacher) and Mr. Smith (High School Director) for cutting their hair for Cancer. Thanks to our resident Hairdresser Mom -Anna Knowles for handling the cuts with her usual style! The fallen locks will be shipped off to a children's cancer foundation in the UK. Go Titans! You are never too young to start mind sports- at least not at Tambearly! 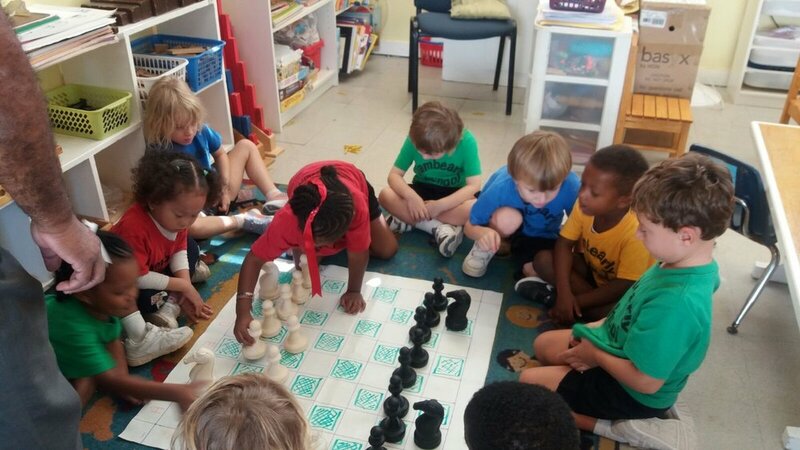 Dr. Sands and Ms. Oluwa (MCO) have teamed up to offer weekly chess instruction to Montessori. 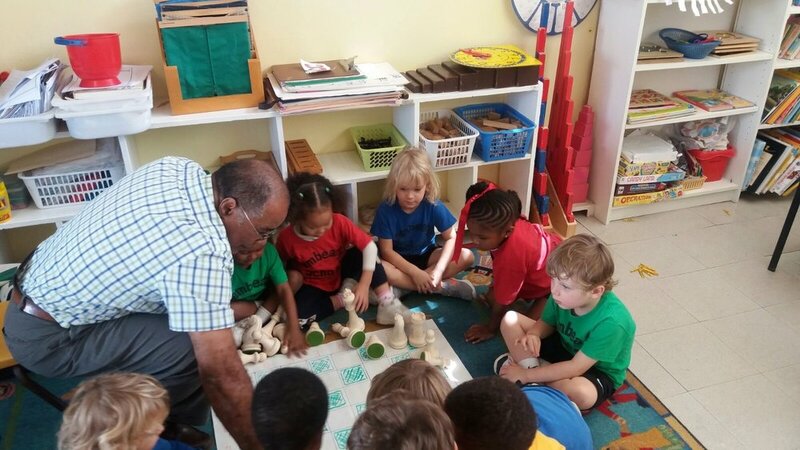 Welcome to the club Montessori. TMWC will kick off its' first event for the New Year on campus in conjunction with the movie night. There will be a cash bar. Make it a family night and come on out! Students and families from Grades 2-9 are invited to come and watch this inspiring film about how chess changed a young girl’s life. 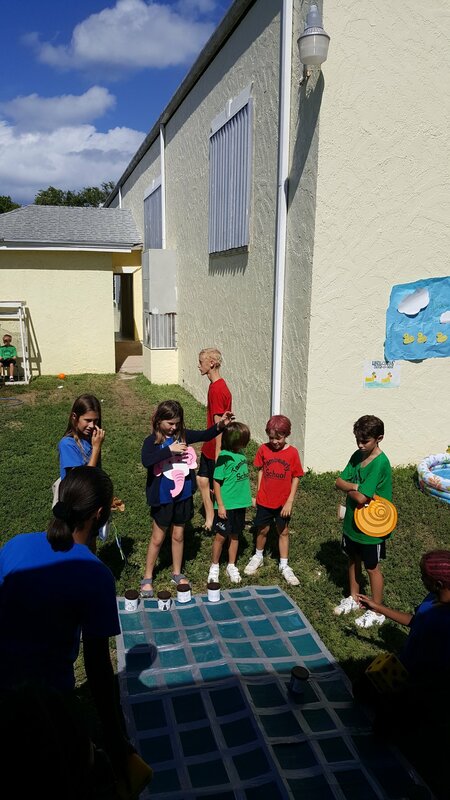 Our students play chess weekly as part of the Tambearly School curriculum. Admission -FREE. Bring a few dollars for popcorn. Titans & Cheerleaders Kick off 2017 With a Bang- G-O- T-I-T-A-N-S! Drew Brown and son Ben Brown (Gr. 2) along with Mrs. Iacone (Gr. 2 Teacher) share their hair growing mission during assembly. Ben and Mrs. Iacone have been growing their hair since September in order to have it cut in January 2017 and donate their locks to a children's cancer foundation in the United Kingdom. All Tambearly students are encouraged to participate. Go Ben and Mrs Iacone! The students presented lots of fun and creative stories! Thanks to our 1st Grade teacher Ms. Reid we are pleased to introduce an animal care and awareness program at Tambearly. 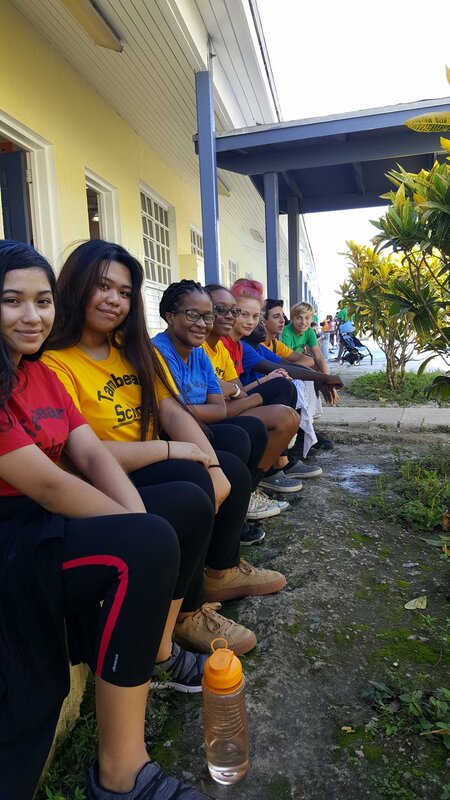 The program was launched with a litter of abused and abandoned kittens who were nurtured back to health by the efforts of Ms. Reid, our teachers and the students. The club will officially meet during Friday Clubs but will run special clinics during break times based on need. 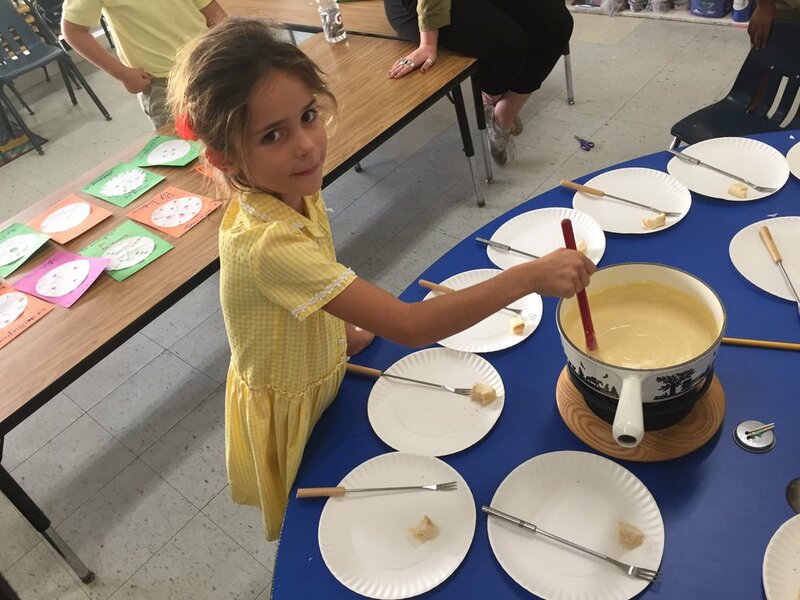 Grade 4 recently served up some tasty dishes during this semester’s culture/food festival in support of celebrating and building awareness for world culture and Tambearly’s diverse student body. In addition to a dish, students presented display boards on the country being represented. Parents and students were filled to the brim! 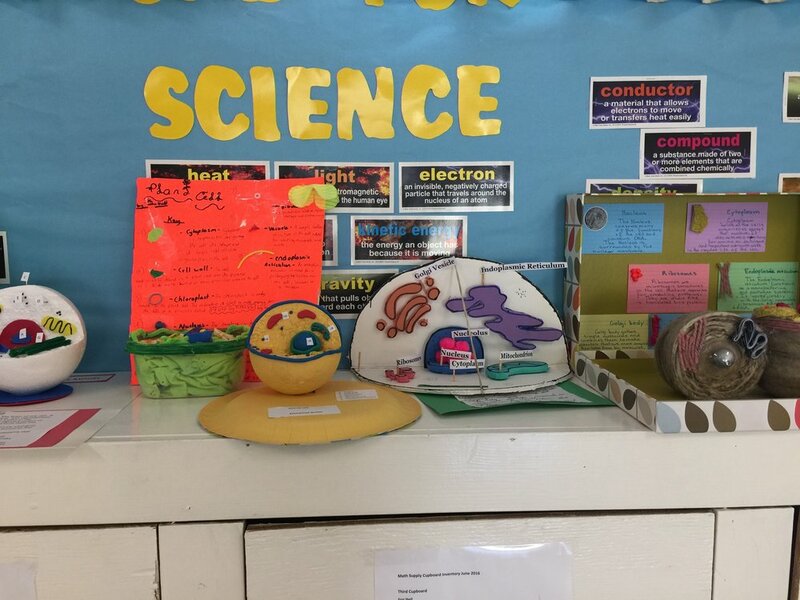 Grade 9 has been busy in Science! Lots of future authors and artists debuted at Grade 1’s publishing party. We love our reading group “Mommy’s Corner” in MCO, MCP and PRE-K. Once a month we have a “Mommy” come and in read to the children. We would like to open the group up to other grades. If you are interested-please work with your child’s teacher and sign up! WE ARE THE TITANS FROM TAMBEARLY! 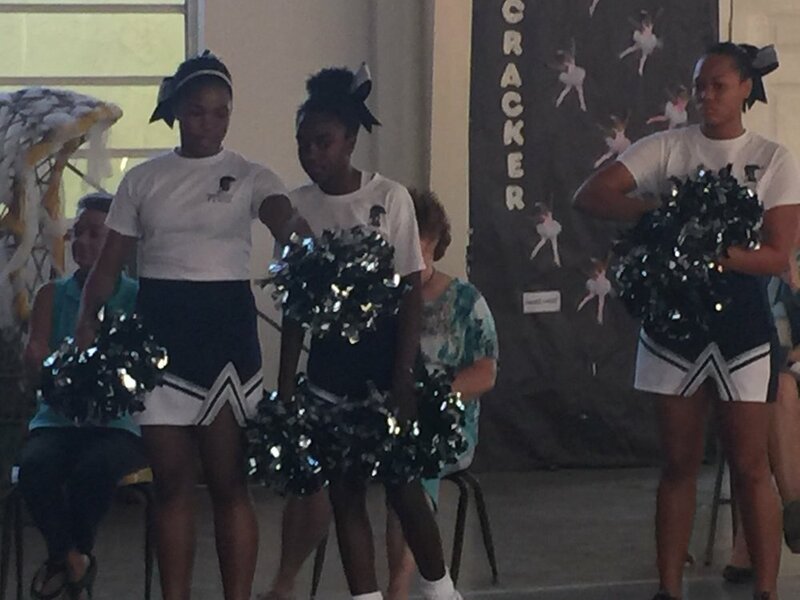 Our Titan cheerleaders are gearing up for action. Keep an eye out for this crew -all set to debut at our next home game. GO TITANS! !